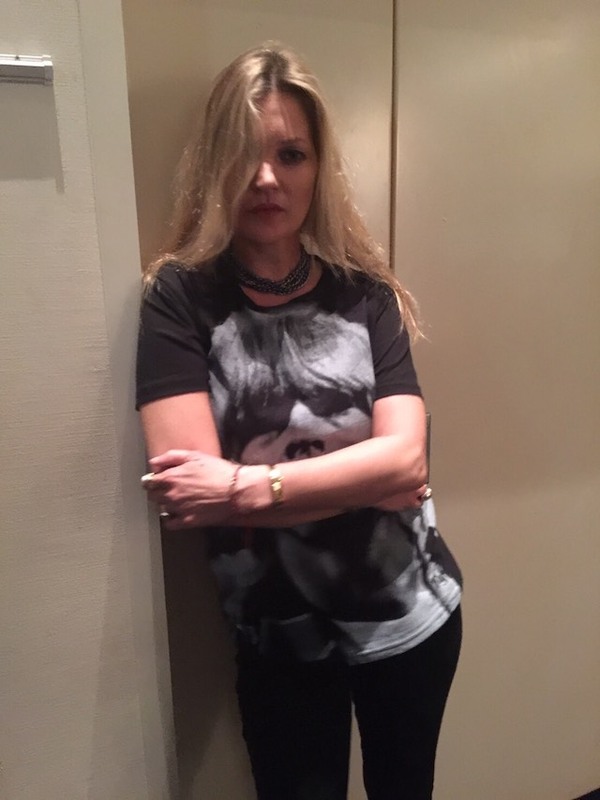 We will collaborate with Peter G. Holmström to make the T-shirt. 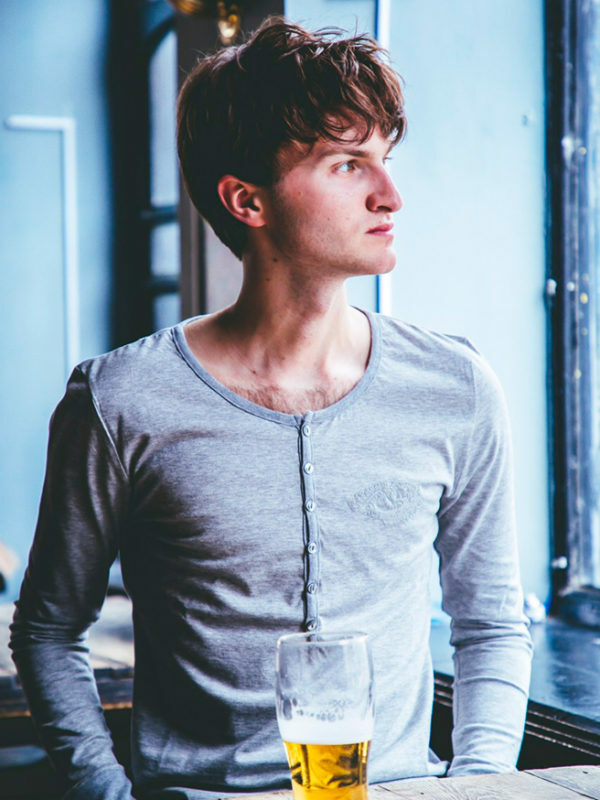 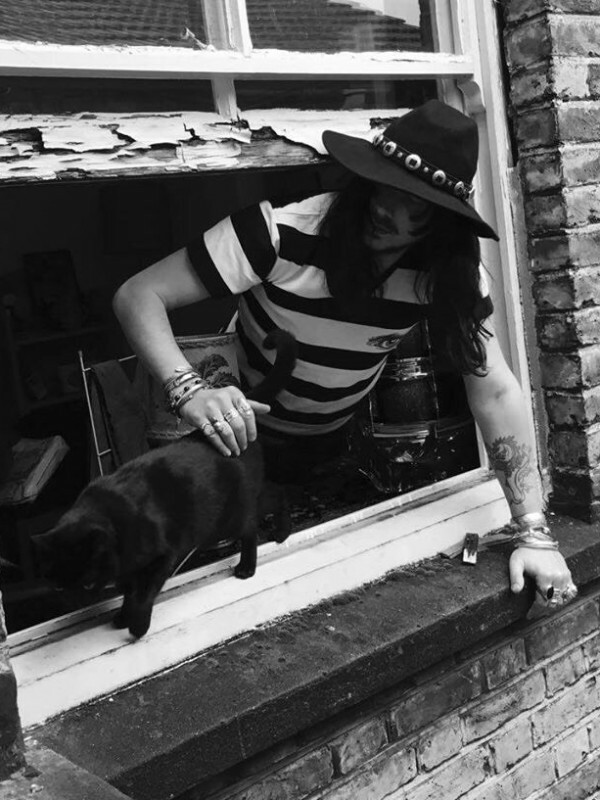 John Moore wearing our Stripe T-shirt. 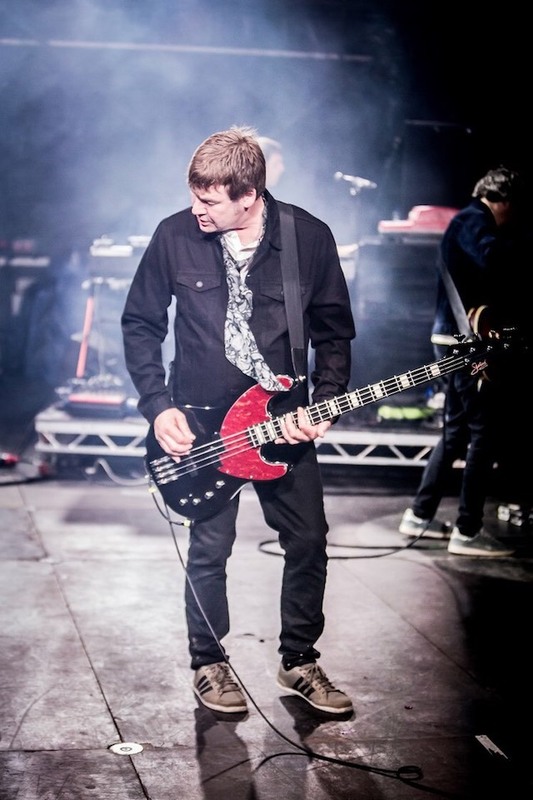 Martin Blunt @The Charlatans wearing our Paisley Scarf at Festival Number 6. 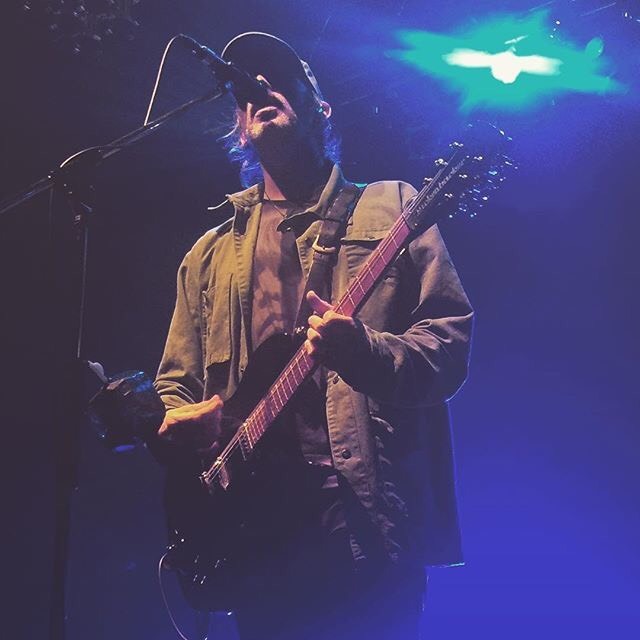 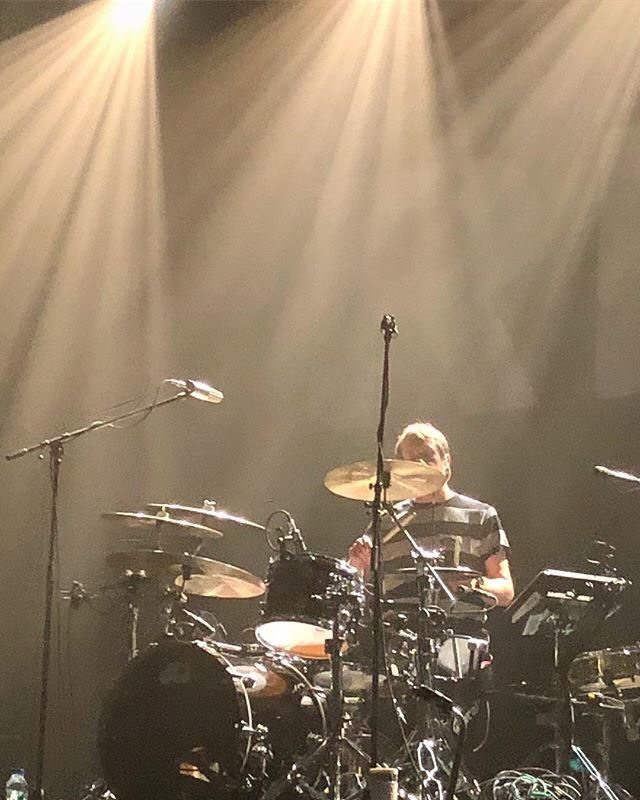 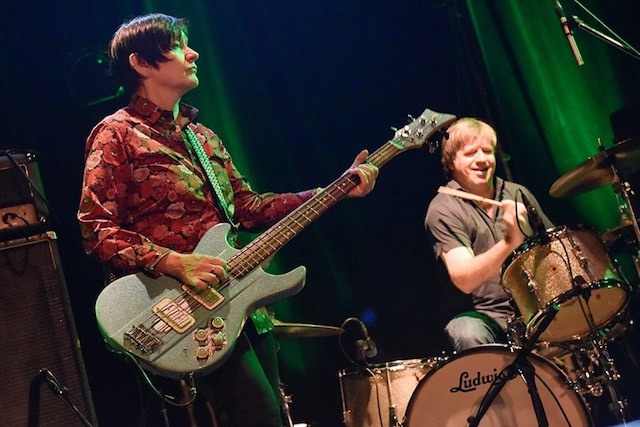 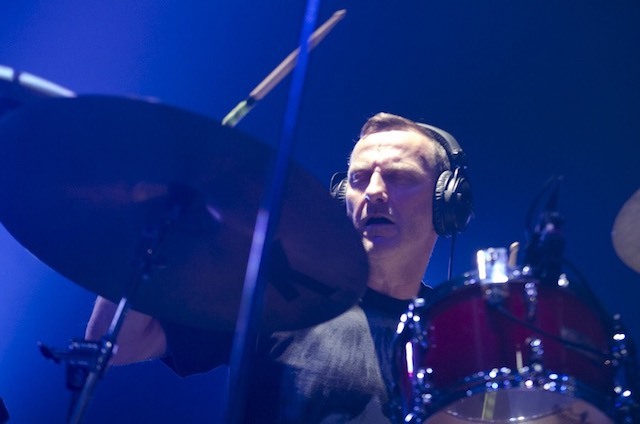 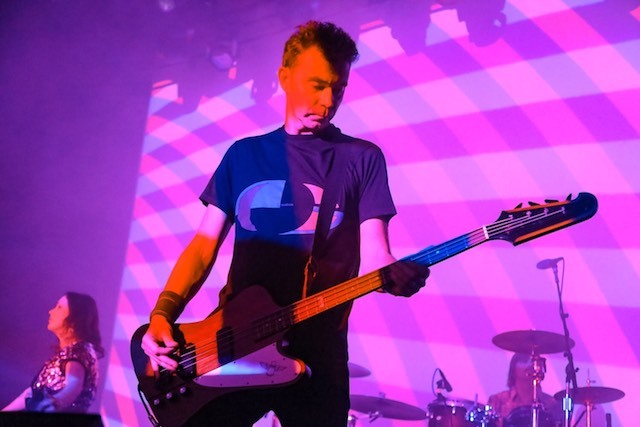 Nick Chaplin @Slowdive wearing our Creation T- shirt at The Fillmore. 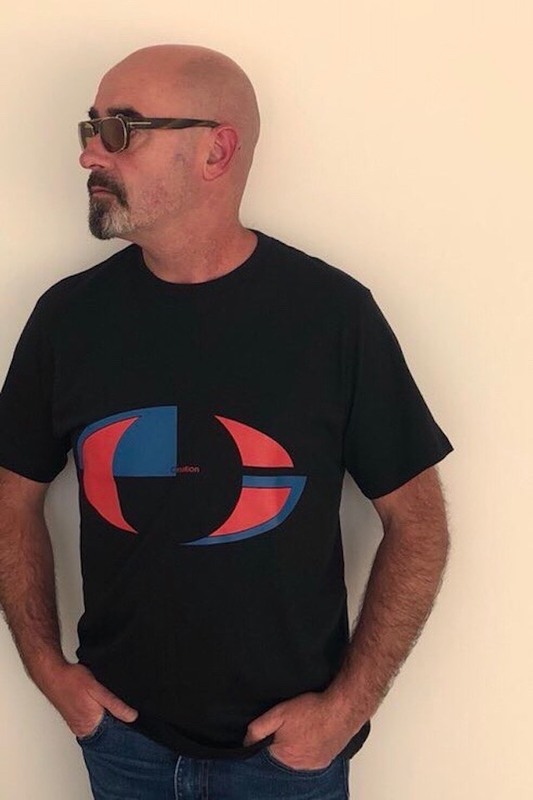 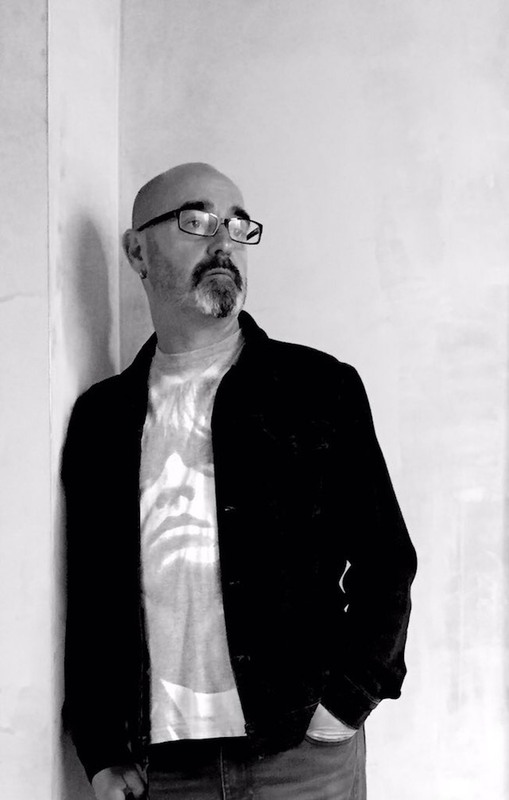 Bonehead wearing our Creation T-shirt. 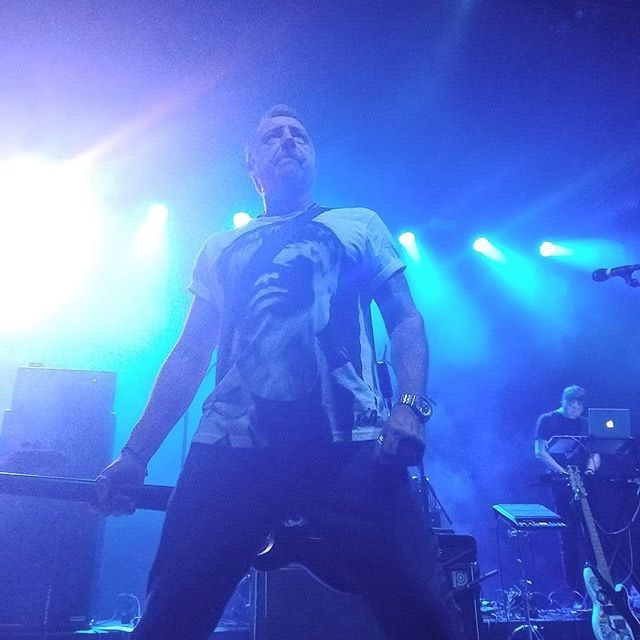 Peter Hook wearing our Brian Jones T-shirt at Union Transfer. 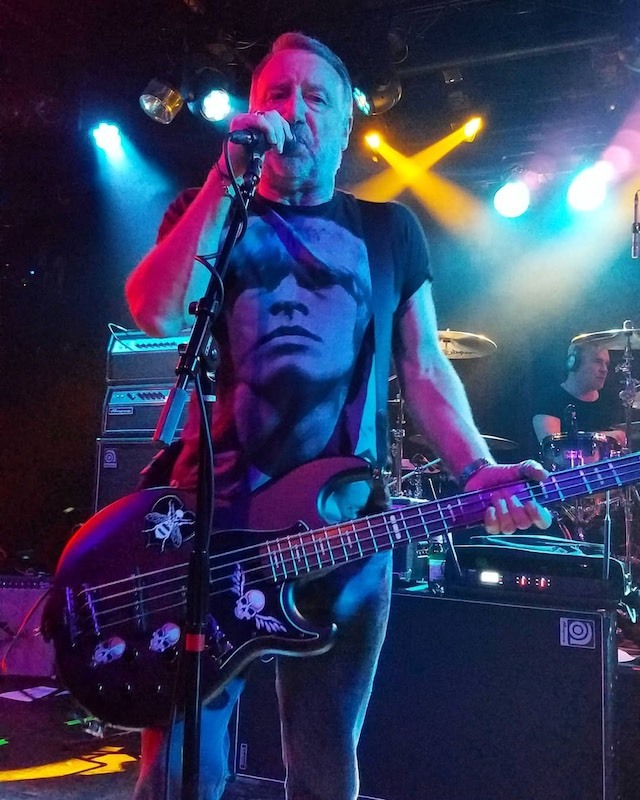 Peter Hook wearing our Brian Jones T-shirt at Paradise Rock Club. 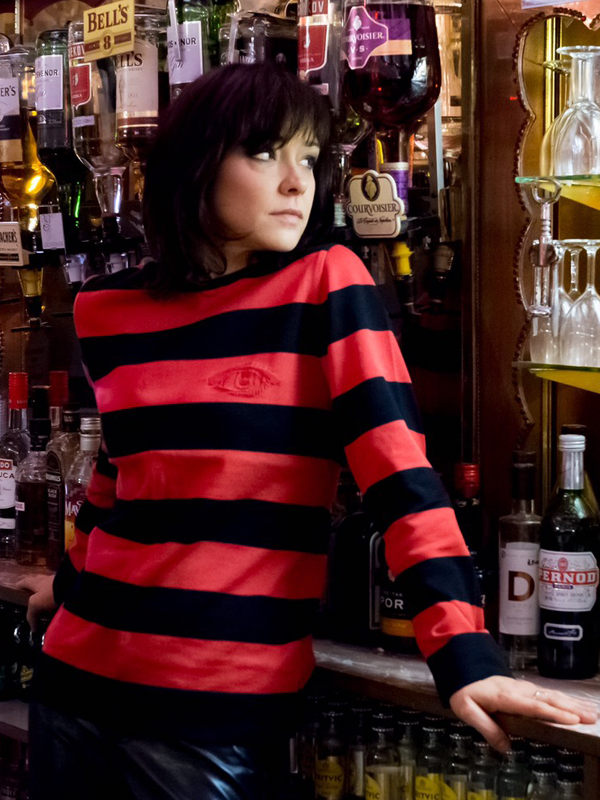 Our new stripe T-shirt has just arrived. 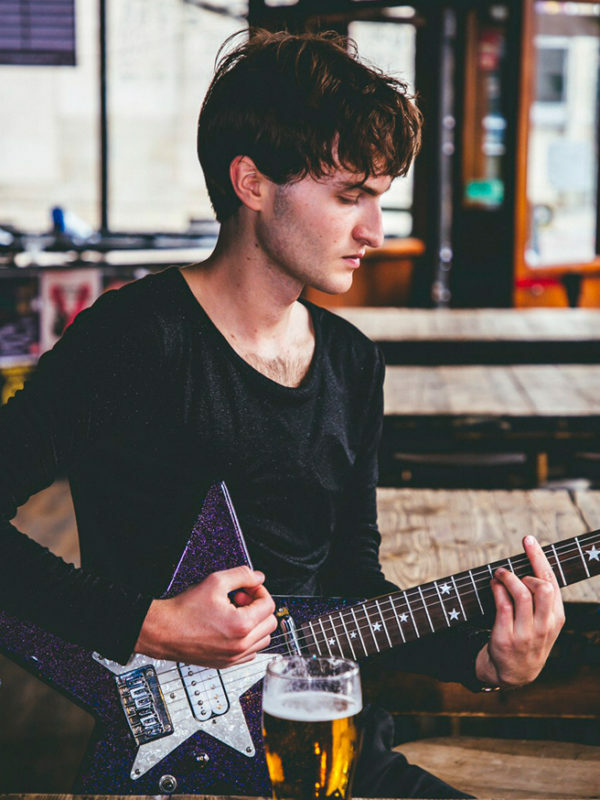 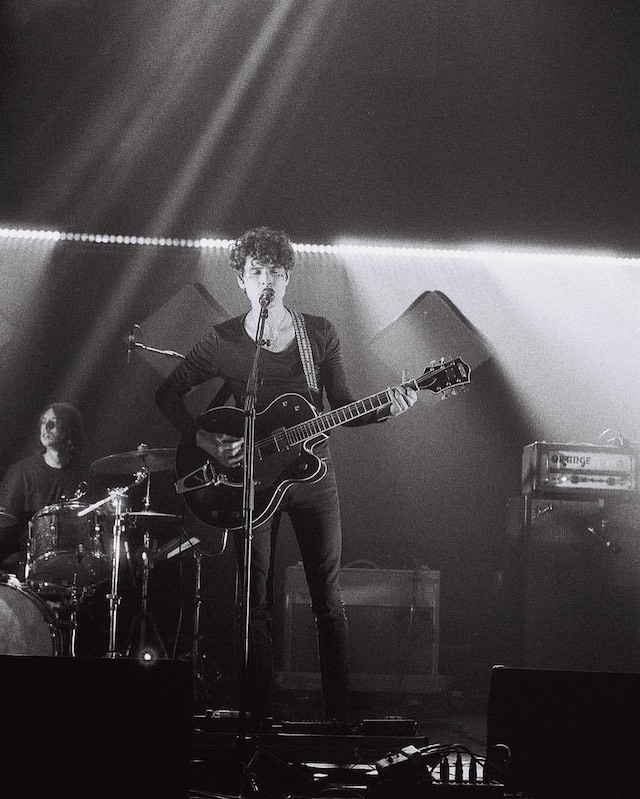 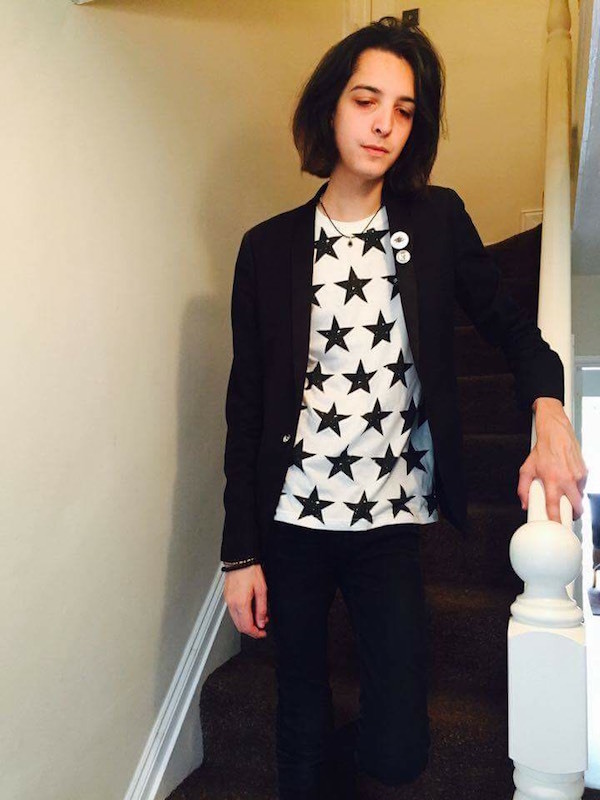 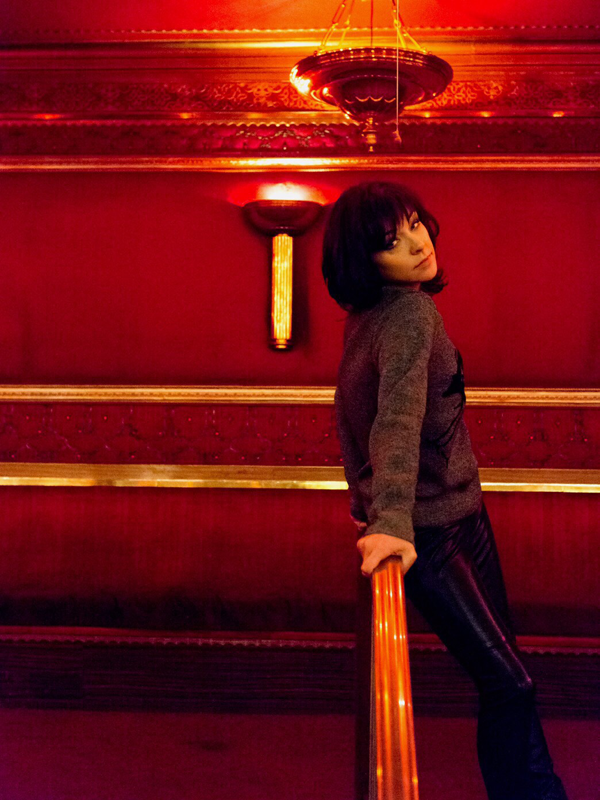 James Edward Bagshaw @Temples wearing our Glitter shirt at O2 Academy Brixton. 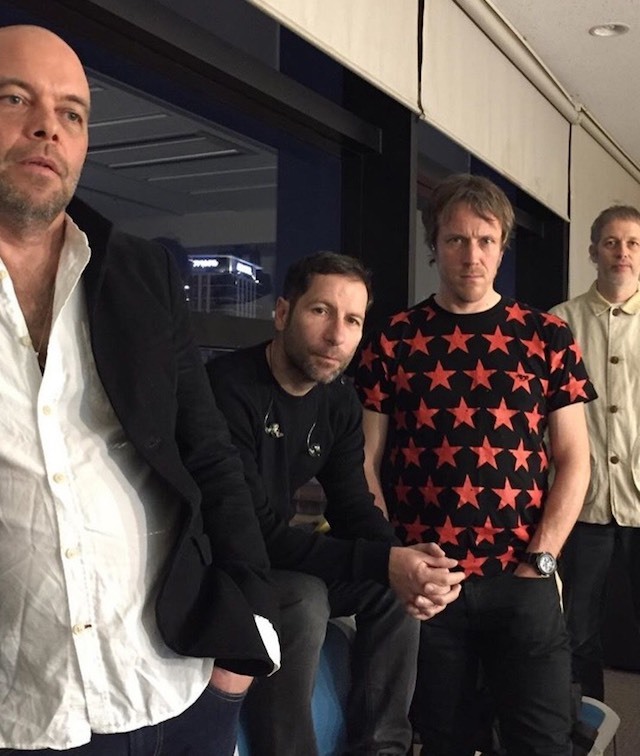 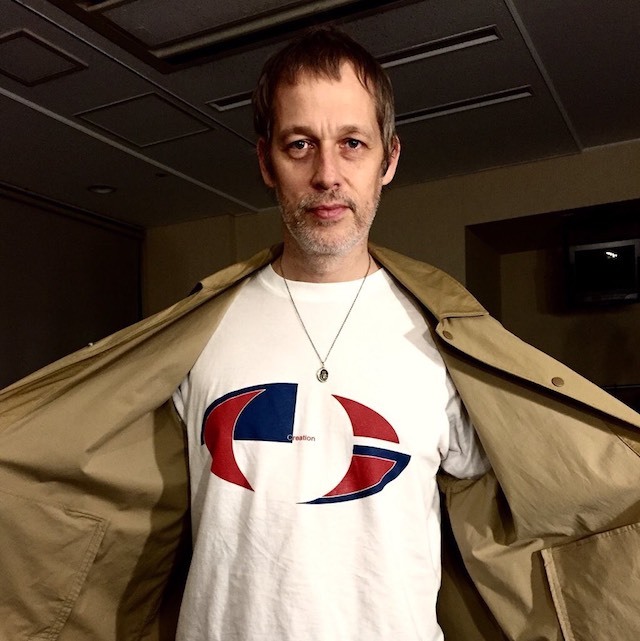 Andy Bell wearing our Creation T-shirt at Osaka Namba HATCH. 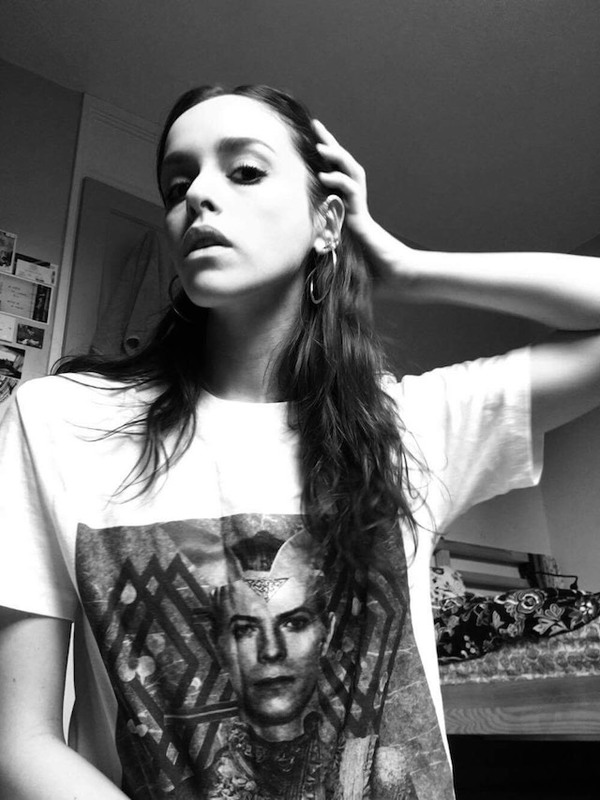 Loz Colbert wearing our Star T-shirt at Osaka Namba HATCH. 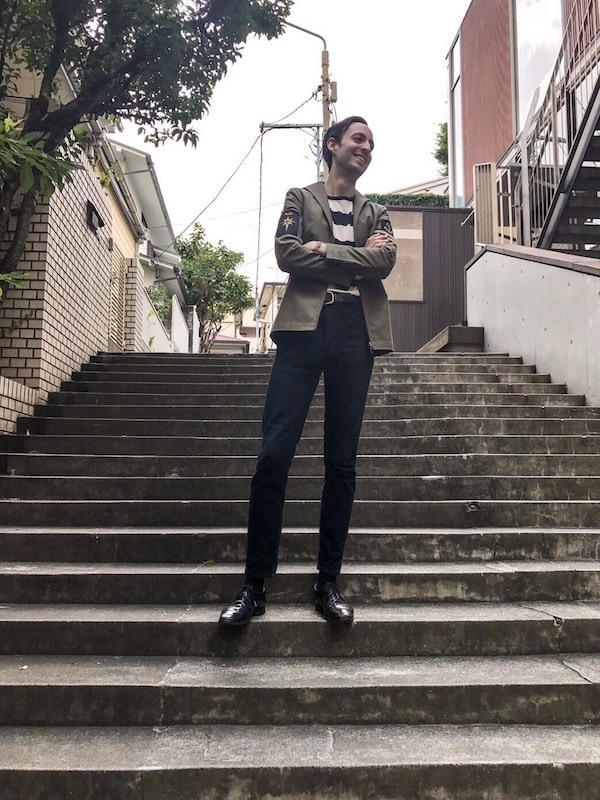 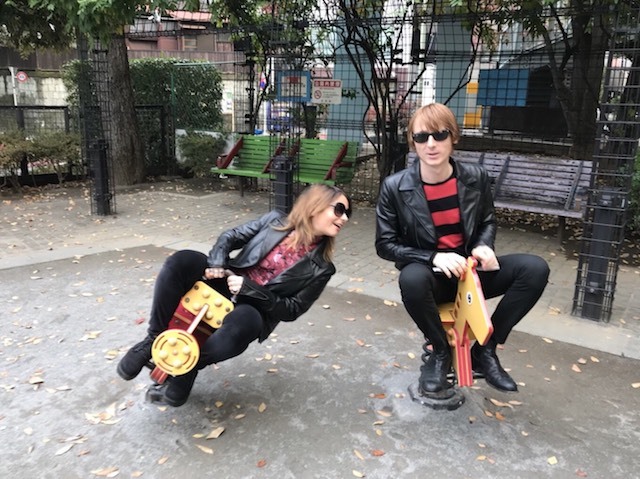 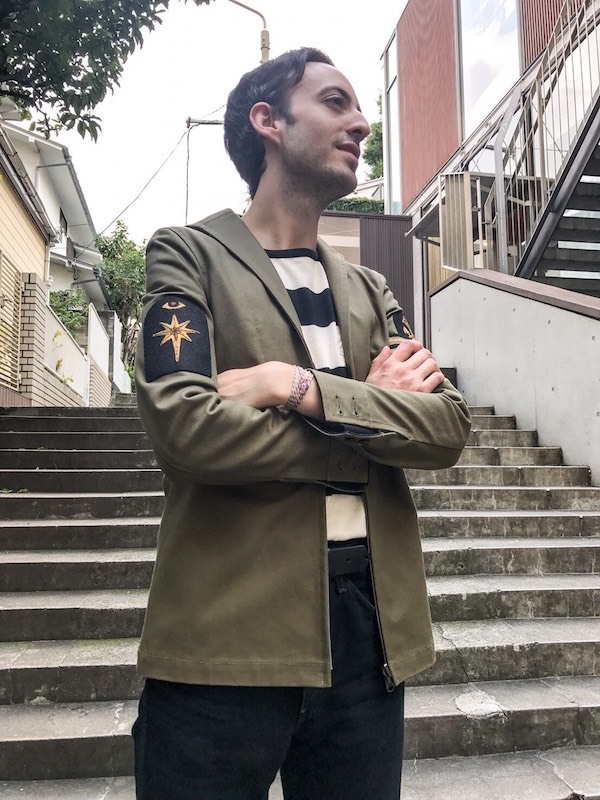 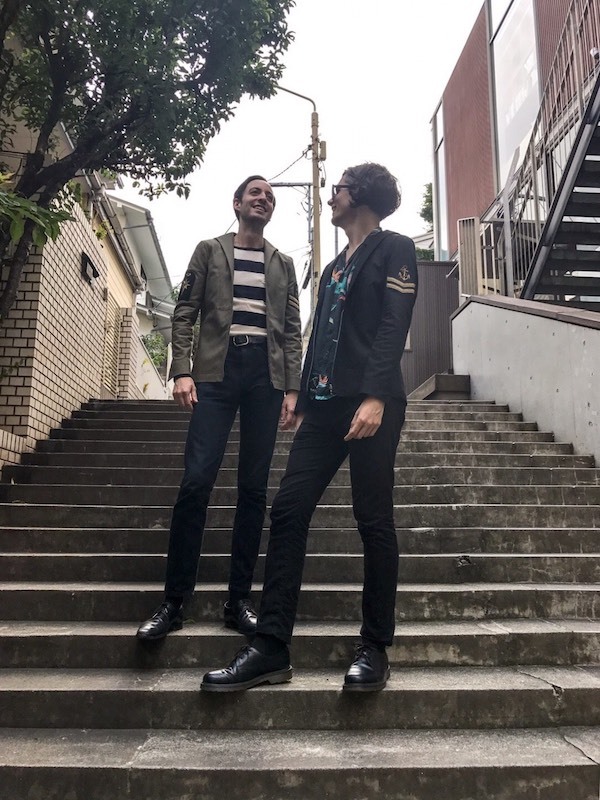 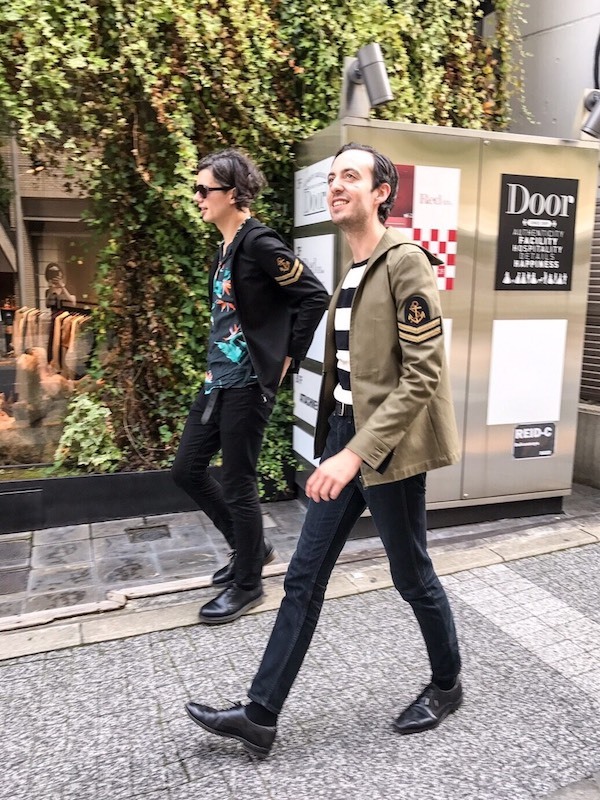 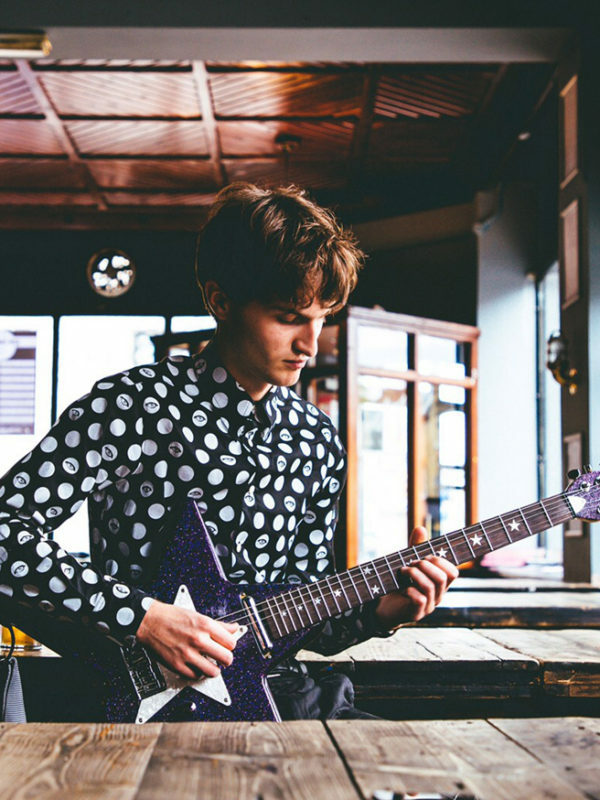 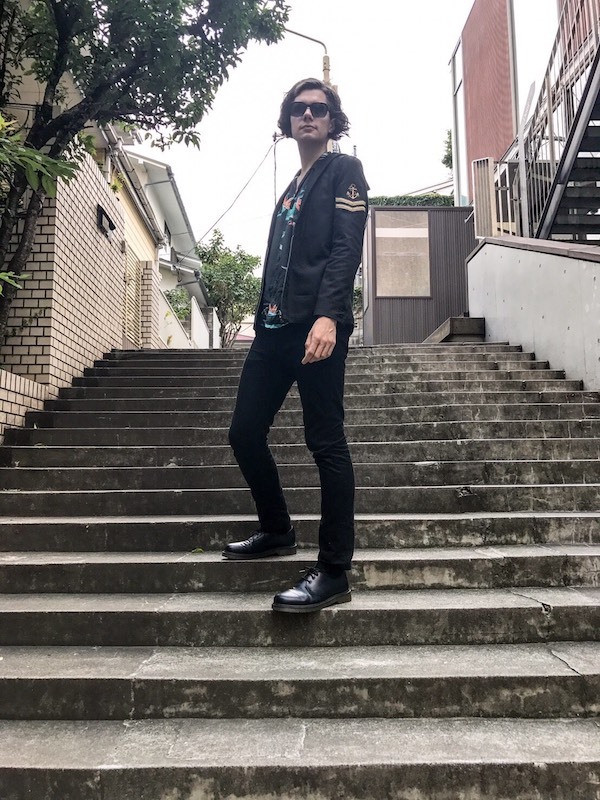 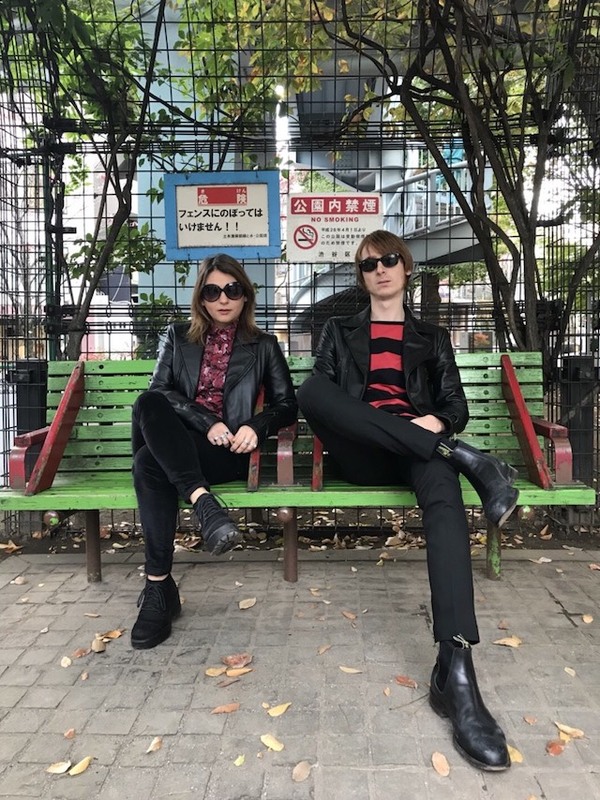 Loz Colbert wearing our New Stripe T-shirt at Tokyo Dome City Hall. 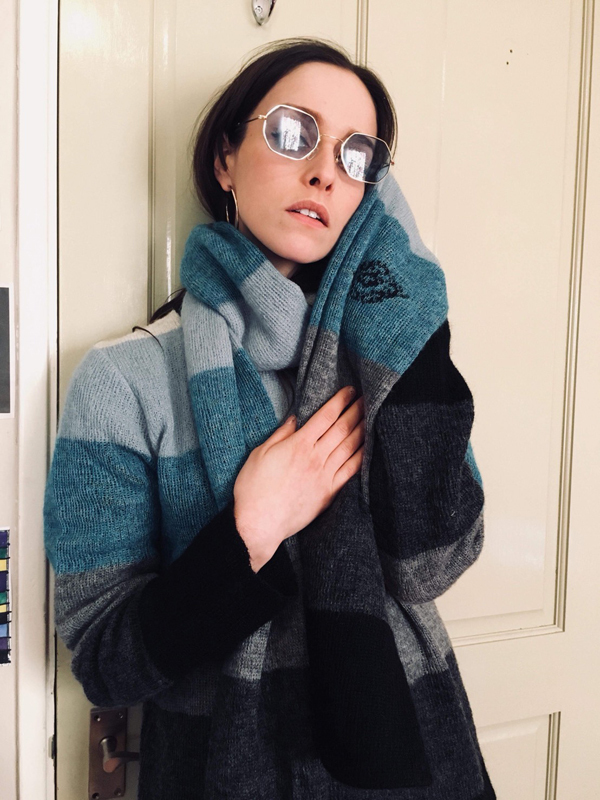 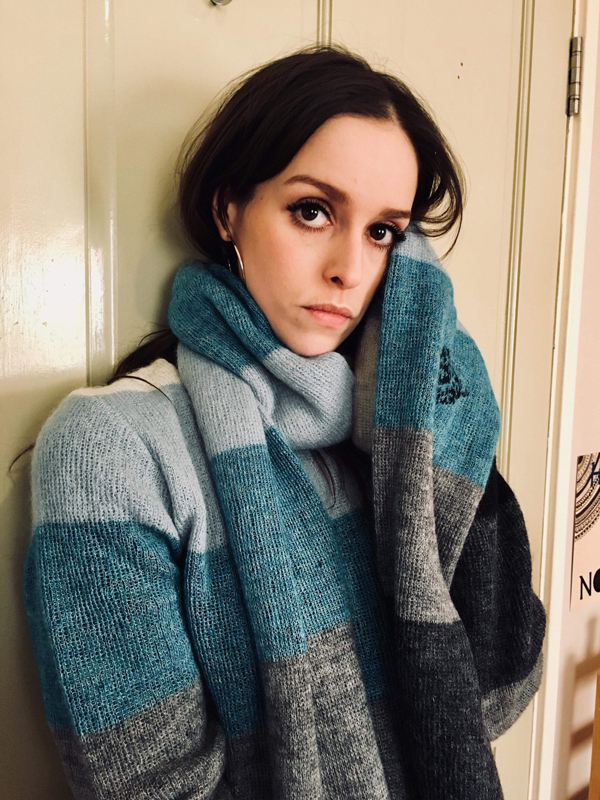 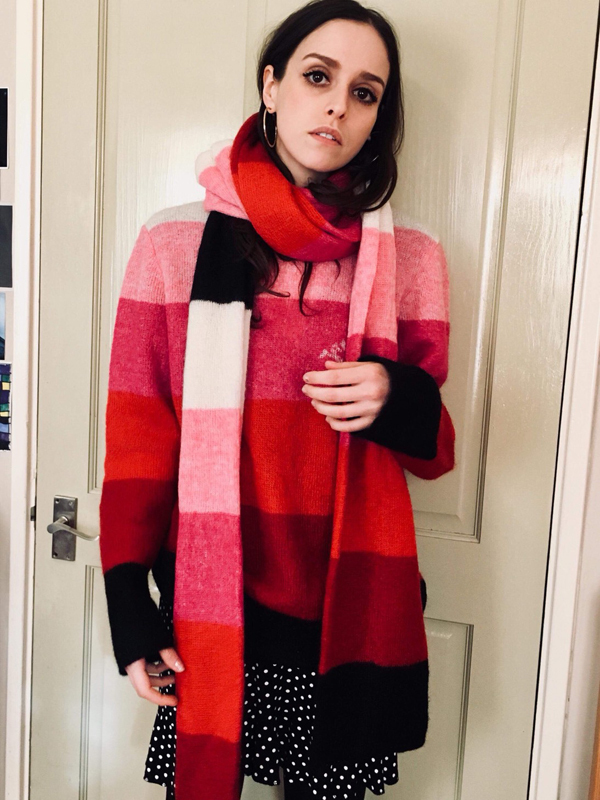 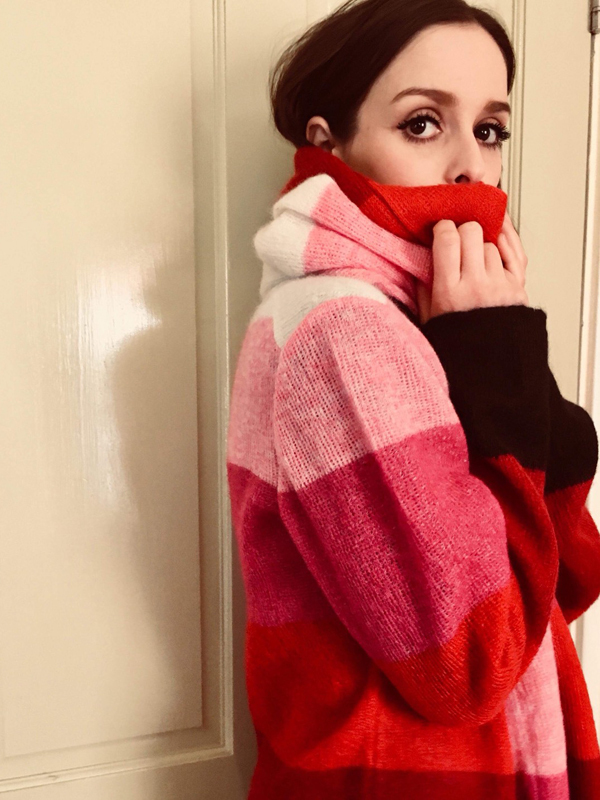 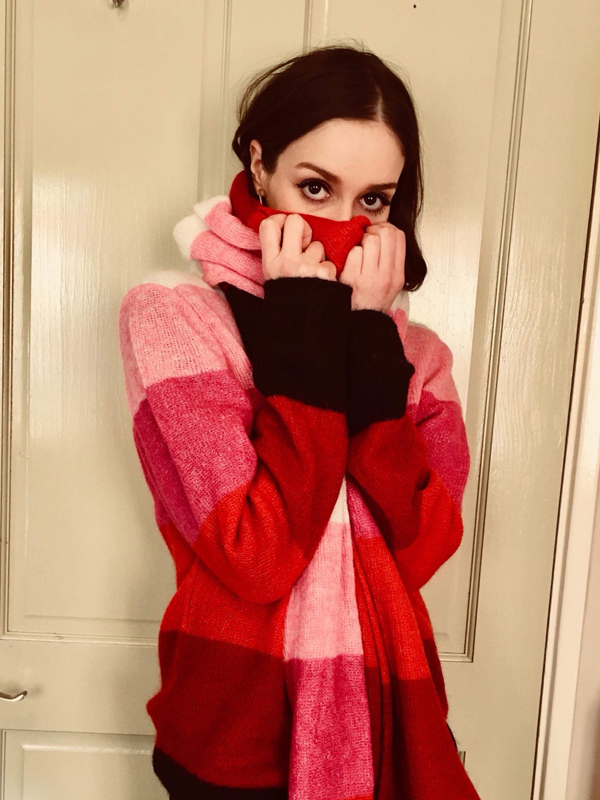 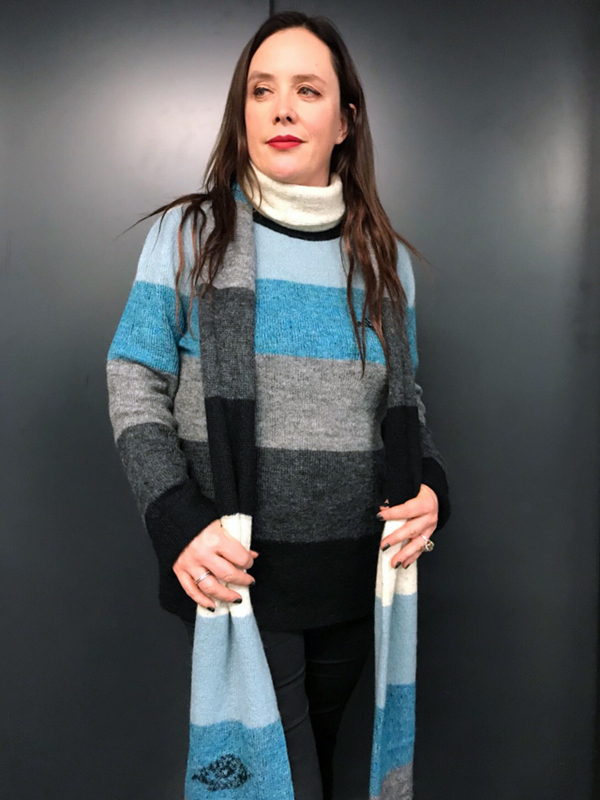 New Mohair jumper & scarf have just arrived. 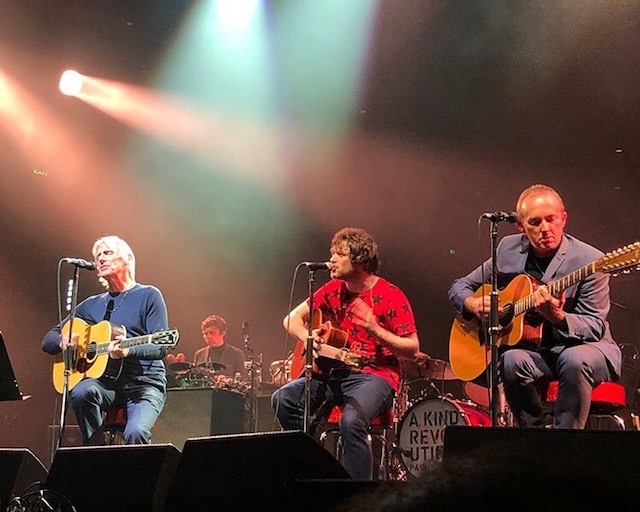 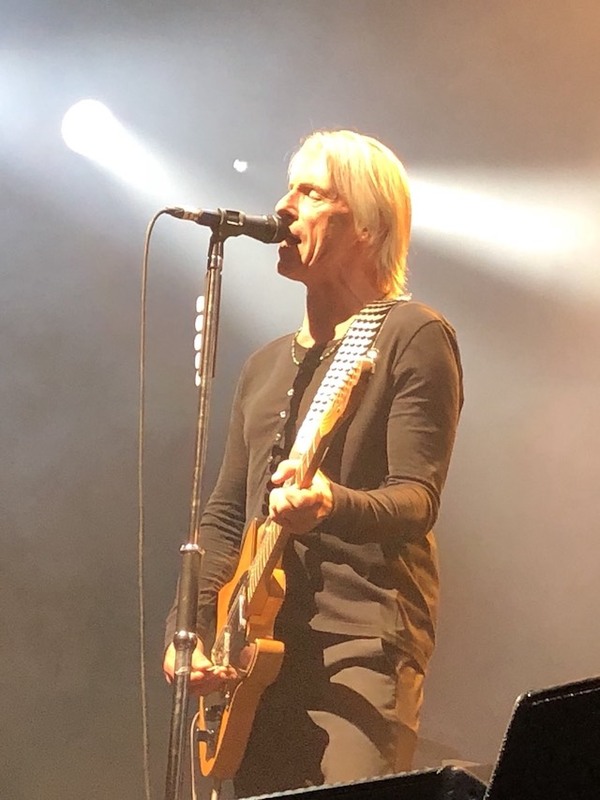 Paul Weller wearing our Henly shirt at Sydney Opera House. 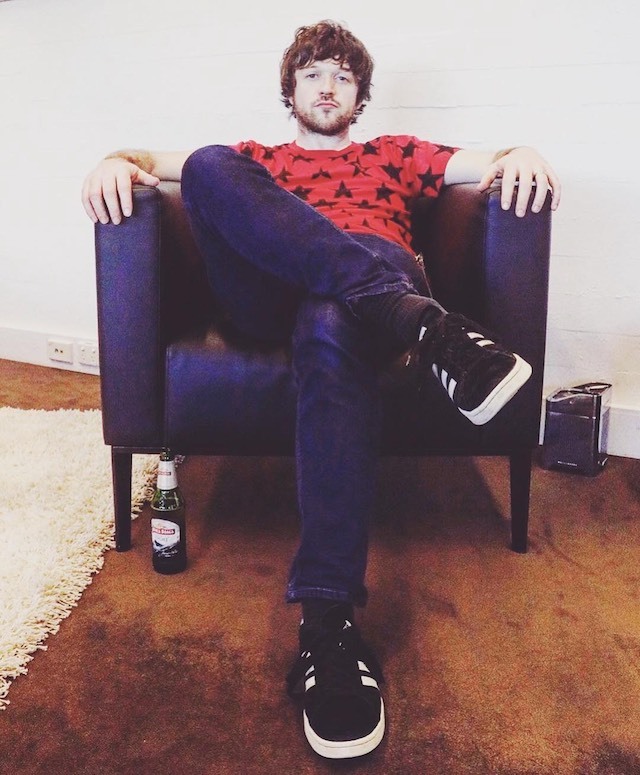 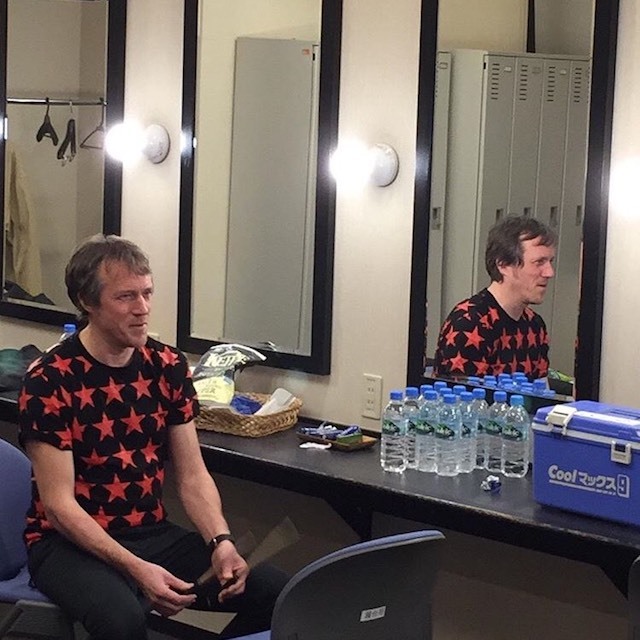 Steve Pilgrim wearing our Star T-shirt at Sydney Opera House. 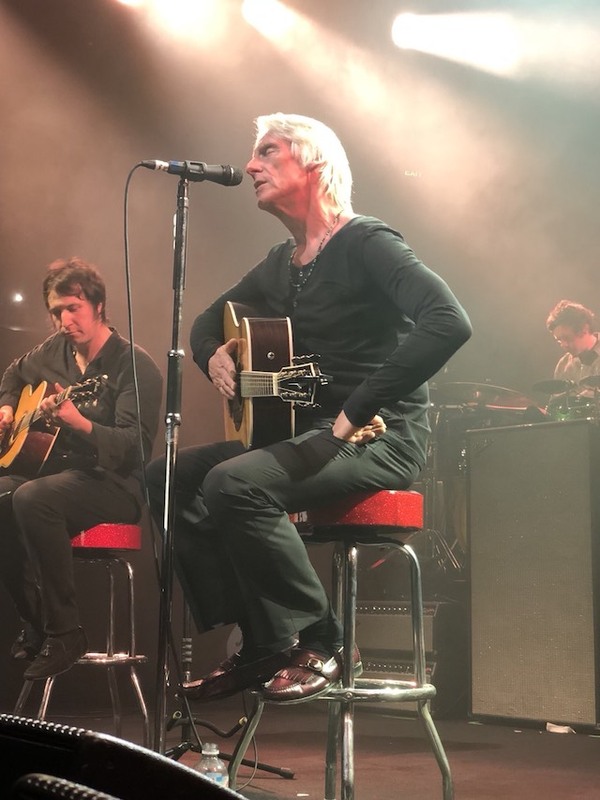 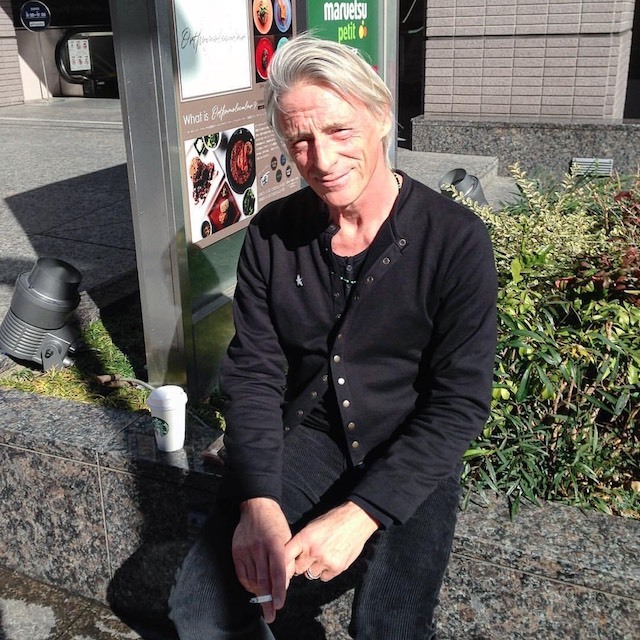 Paul Weller wearing our Henley shirt in Tokyo. 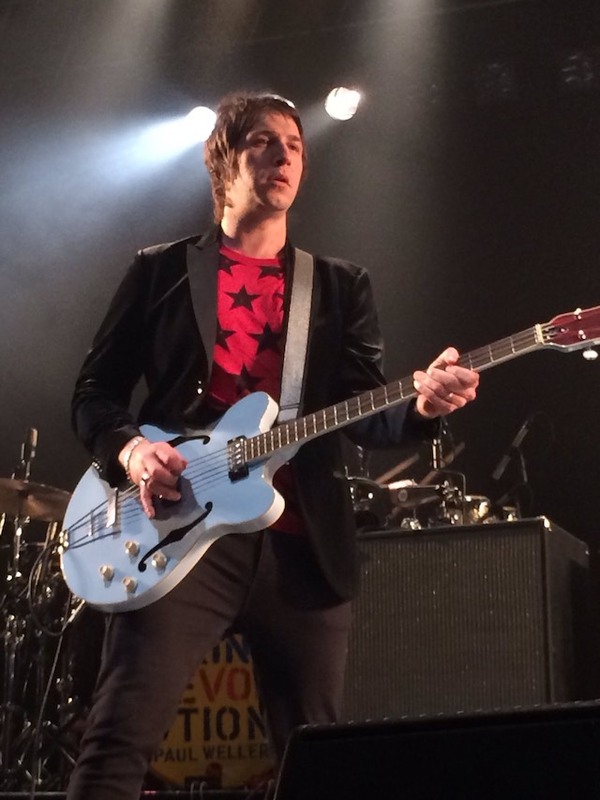 Andy Crofts wearing our Star T-shirt at EX Theater Roppongi. 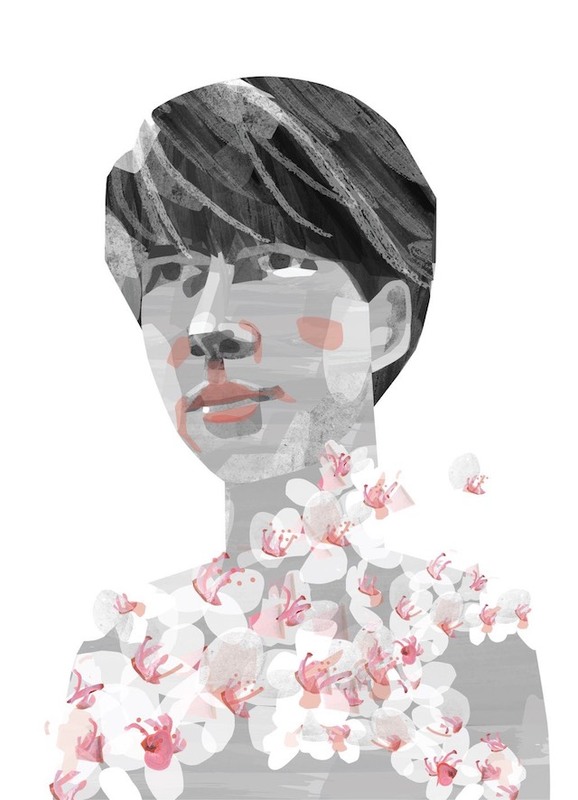 "Gentle Tuesday" The artwork is by Brian McHenry. 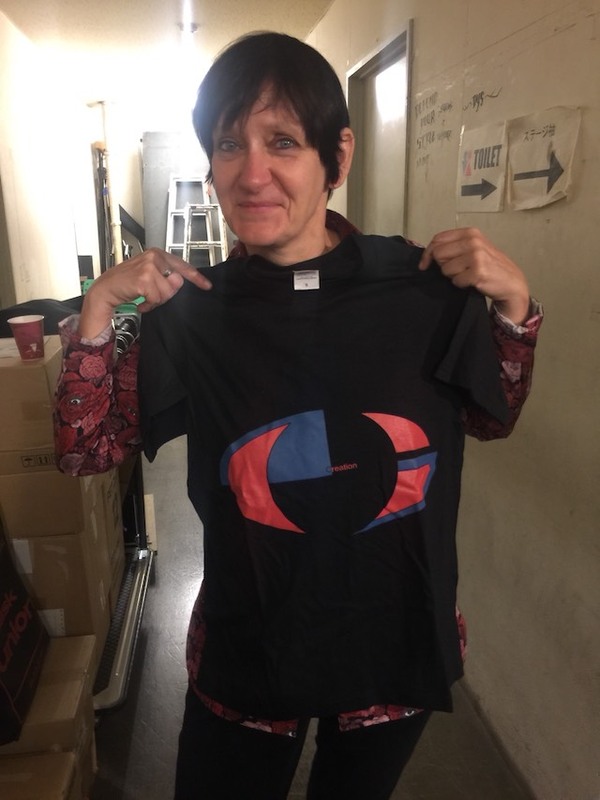 The T-shirt has arrived! 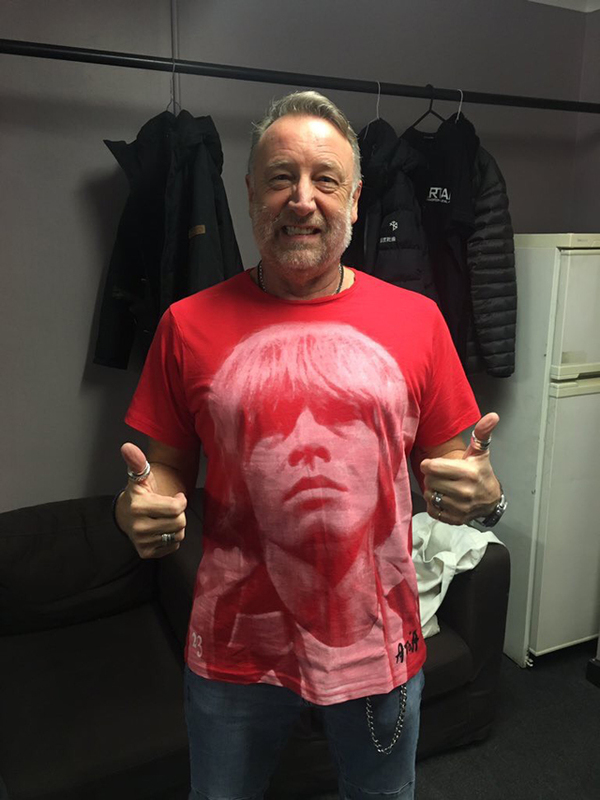 Peter Hook wearing our Brian Jones T-shirt at City Hall Salisbury. 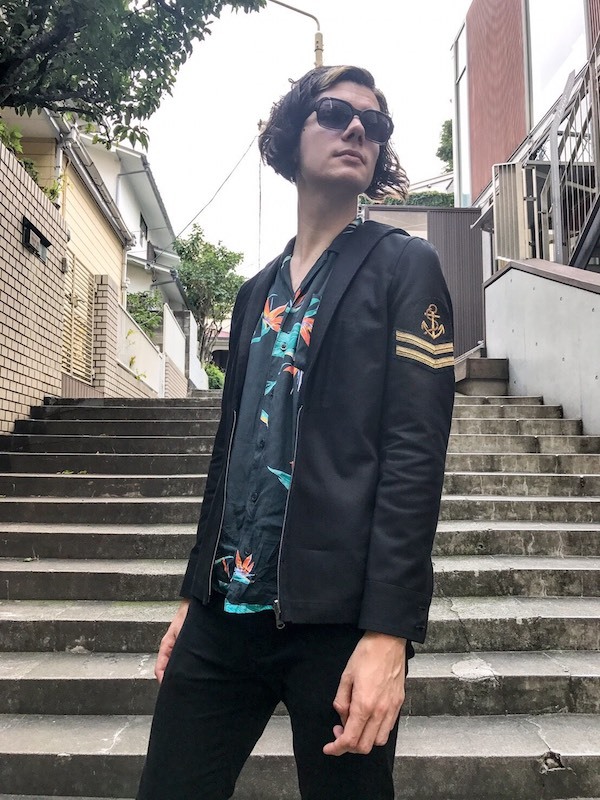 Our new Leather Jacket has arrived. 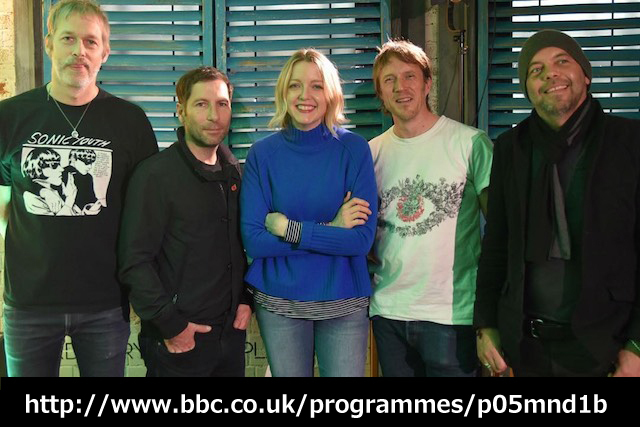 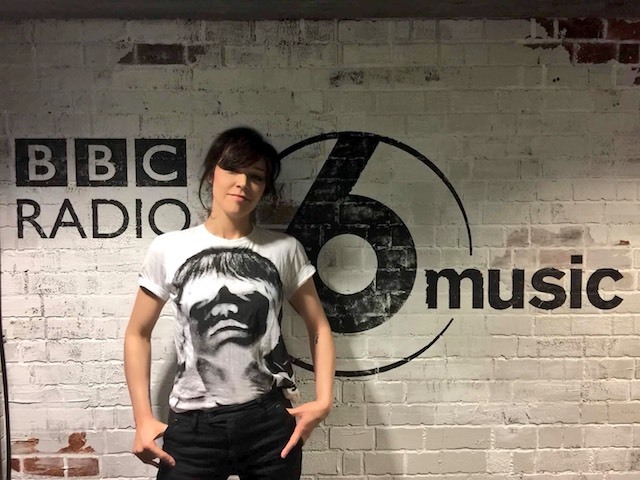 Loz Colbert @Ride wearing our T-shirt at at BBC Radio 6 Music. 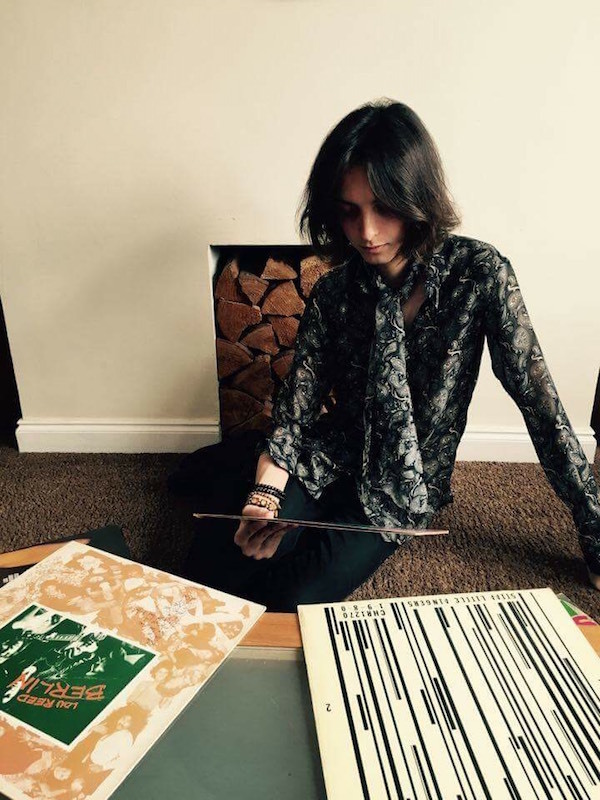 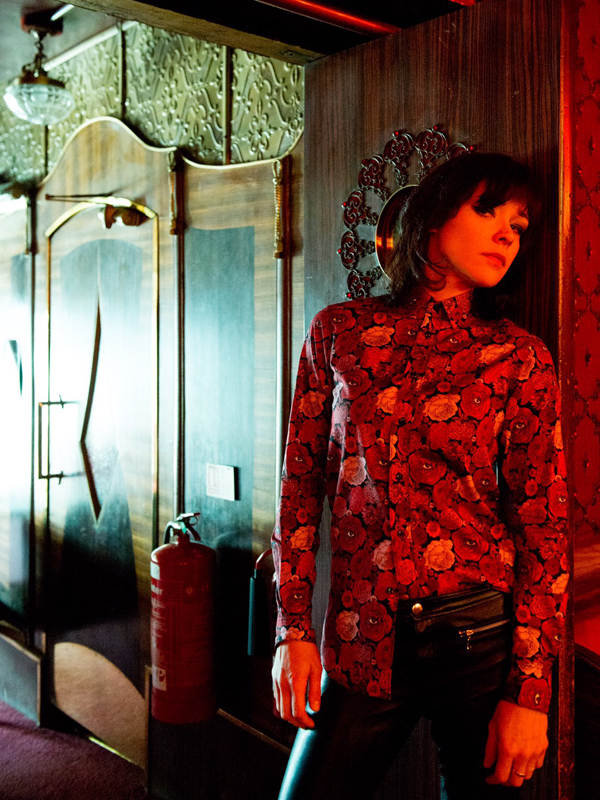 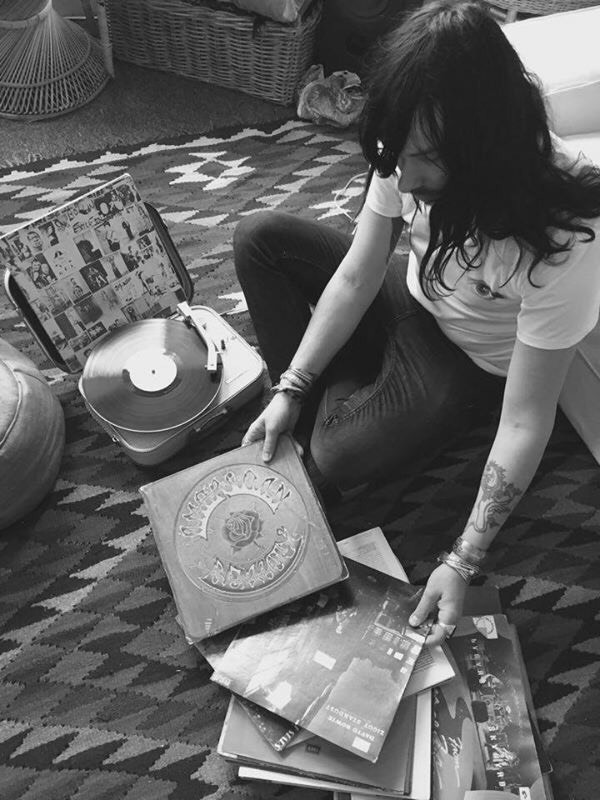 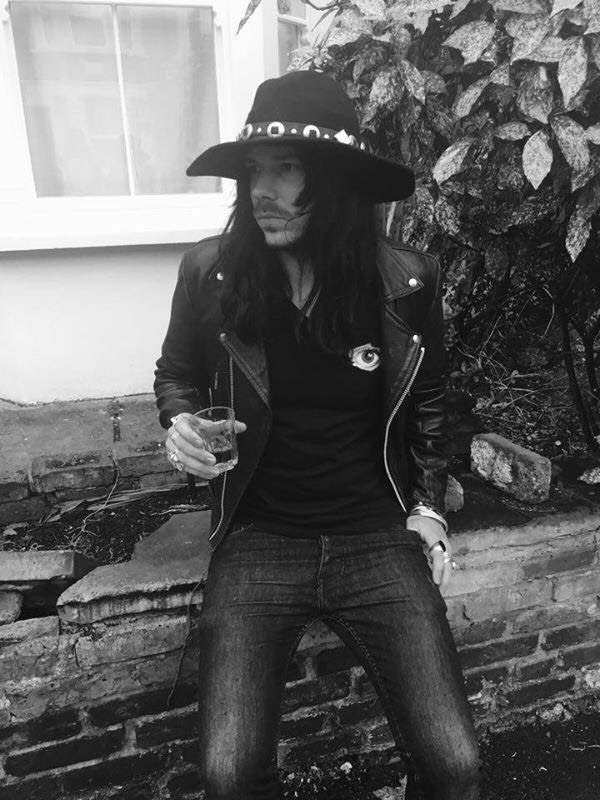 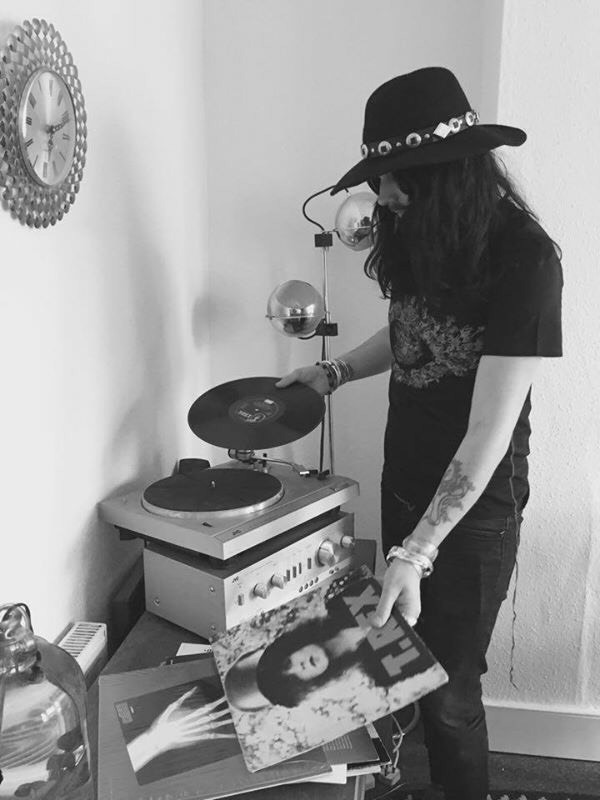 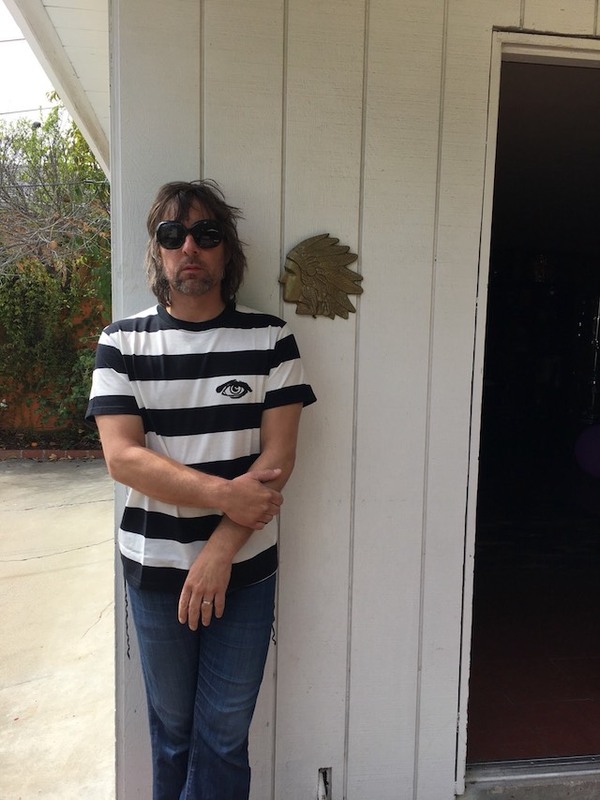 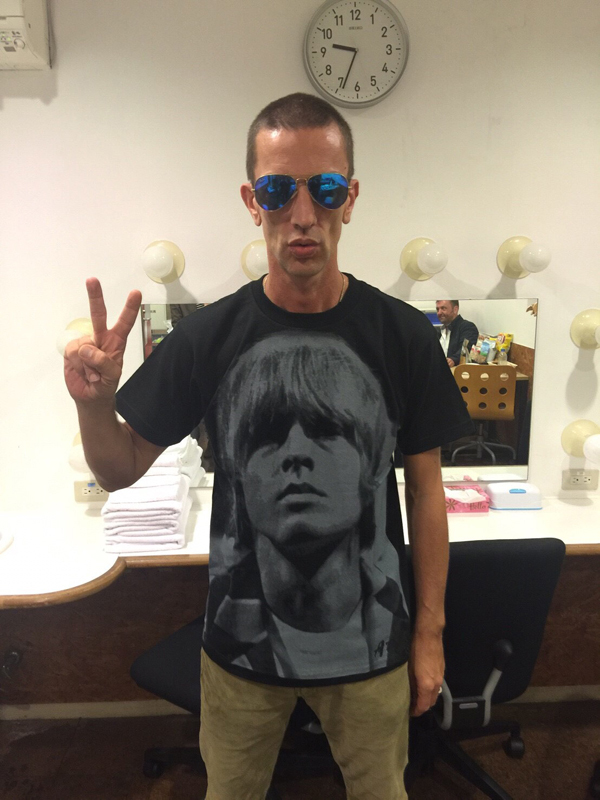 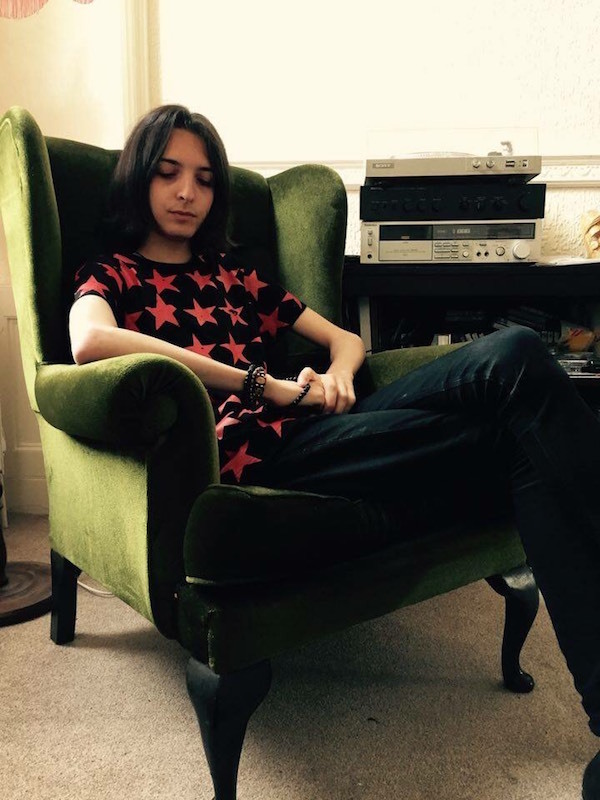 Simone Marie @Primal Scream chose our Brian Jones T-Shirt at BBC Radio 6 Music's T-Shirt Day. 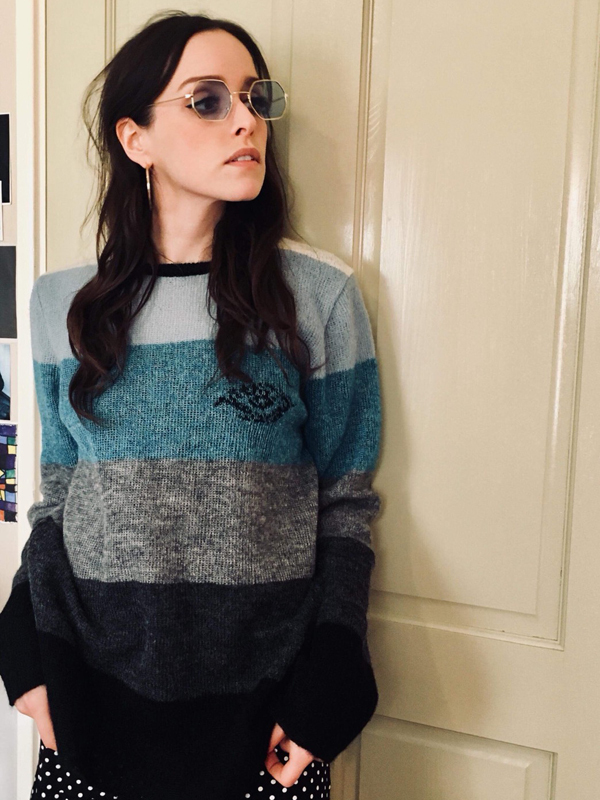 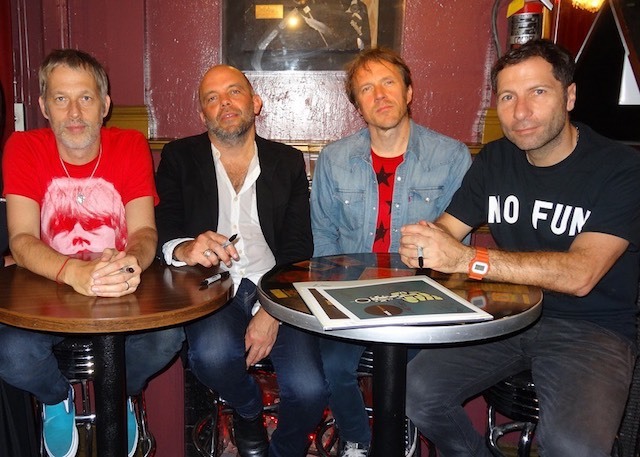 Momus wearing Brushed Eye Jumper in Open University. 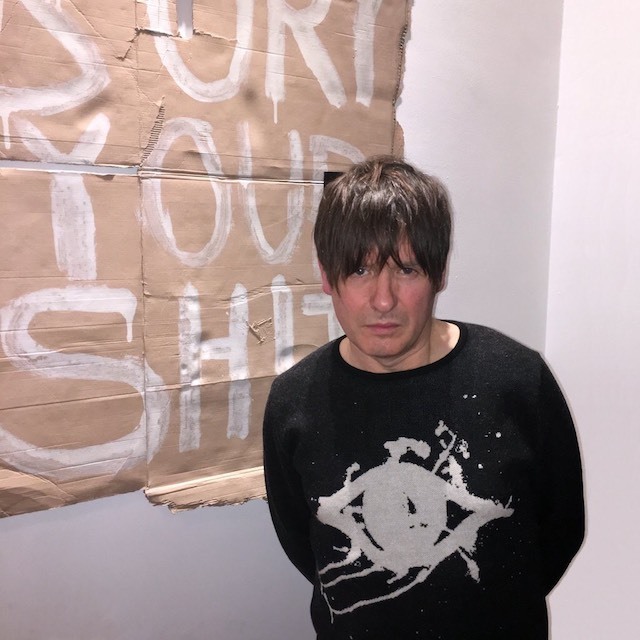 Artwork by Jim Lambie. 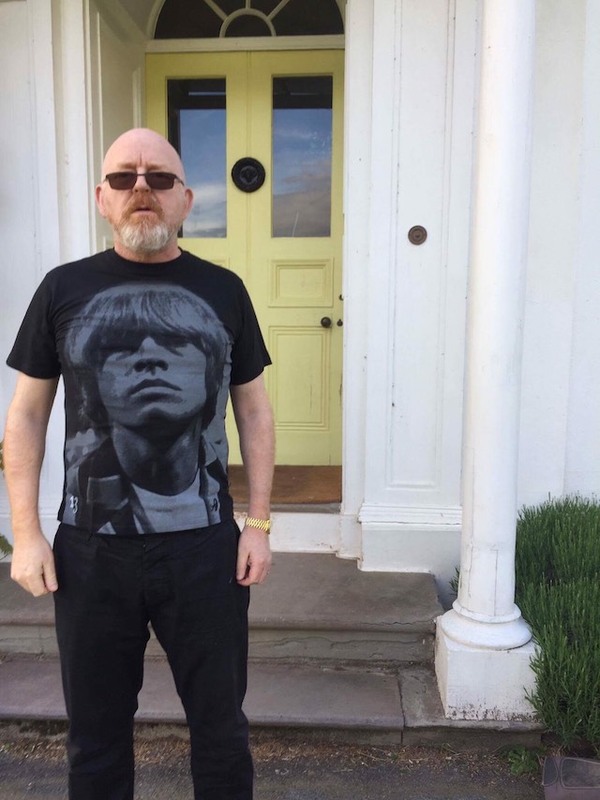 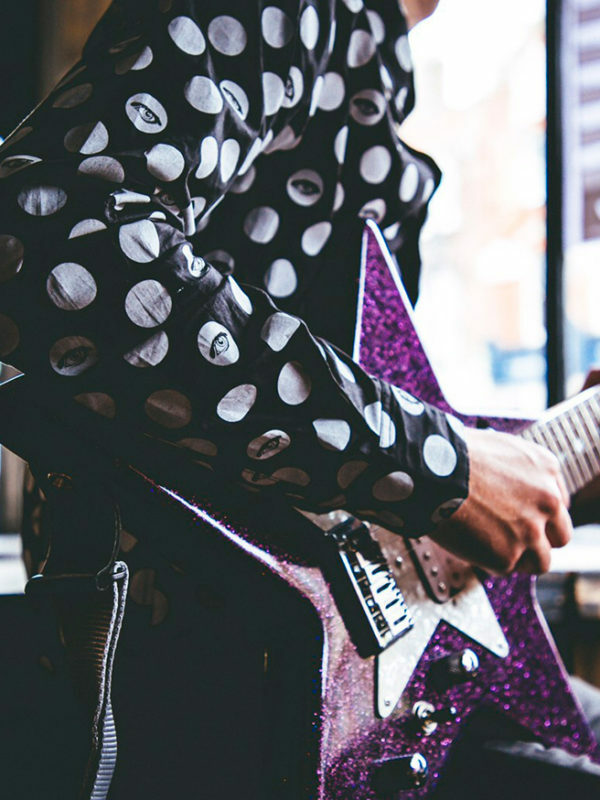 We collaborated with Alan McGee @Creation Management. 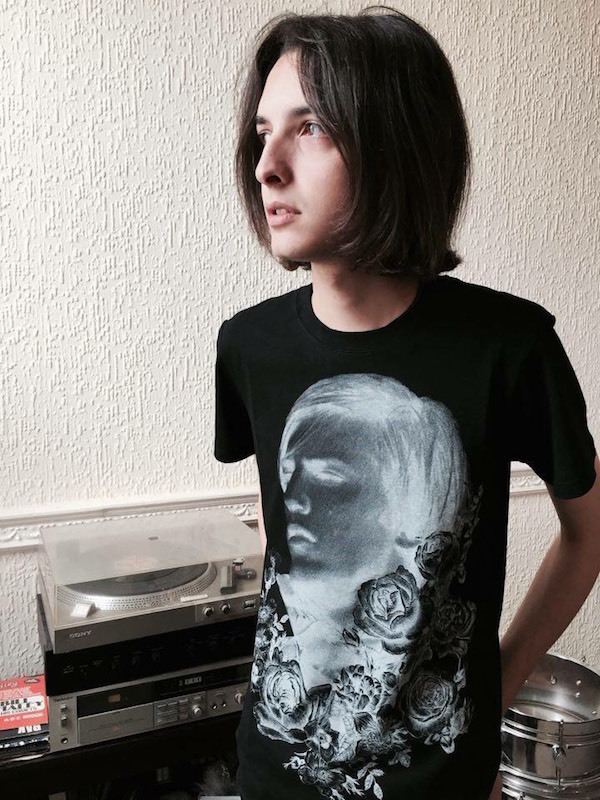 The T-shirt has arrived. 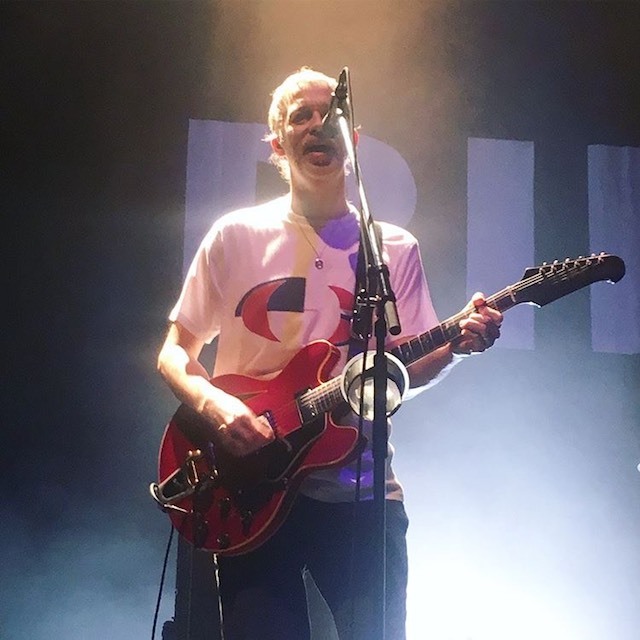 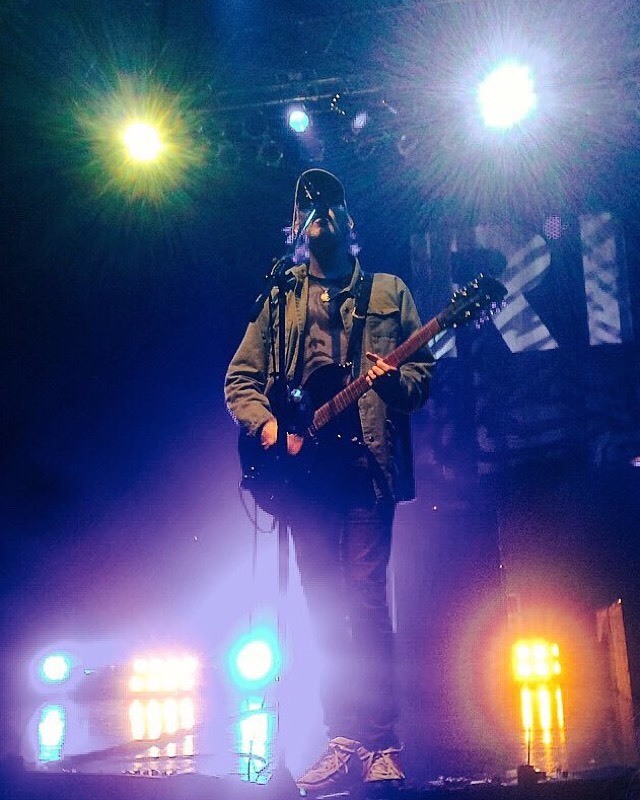 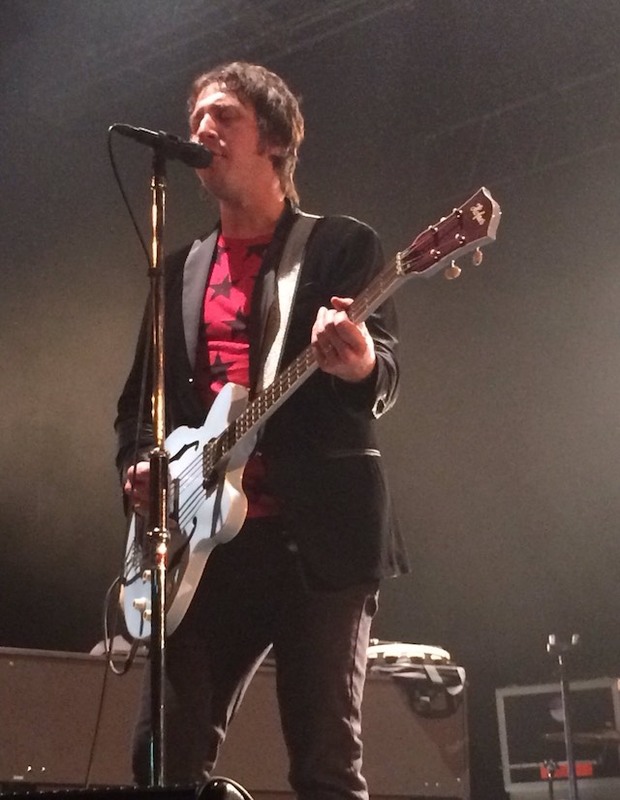 Two of Ride are wearing our tees at The Fillmore. 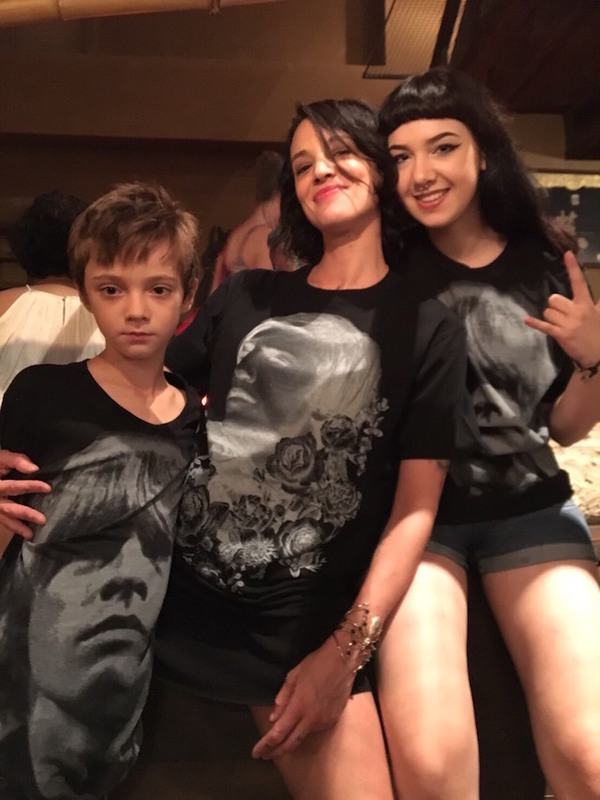 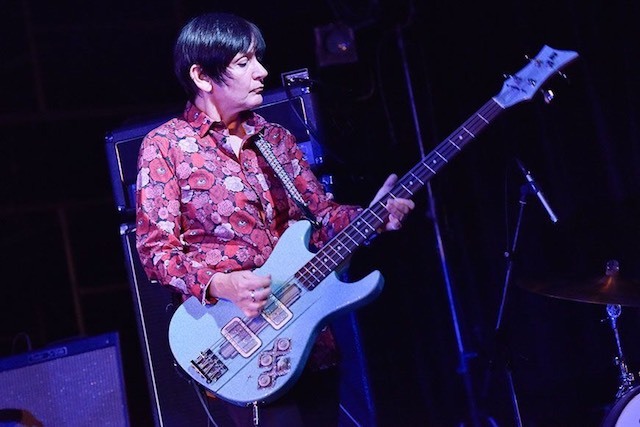 Debbie Googe was wearing our Rose Eye Shirt at Ebisu Liquidroom. 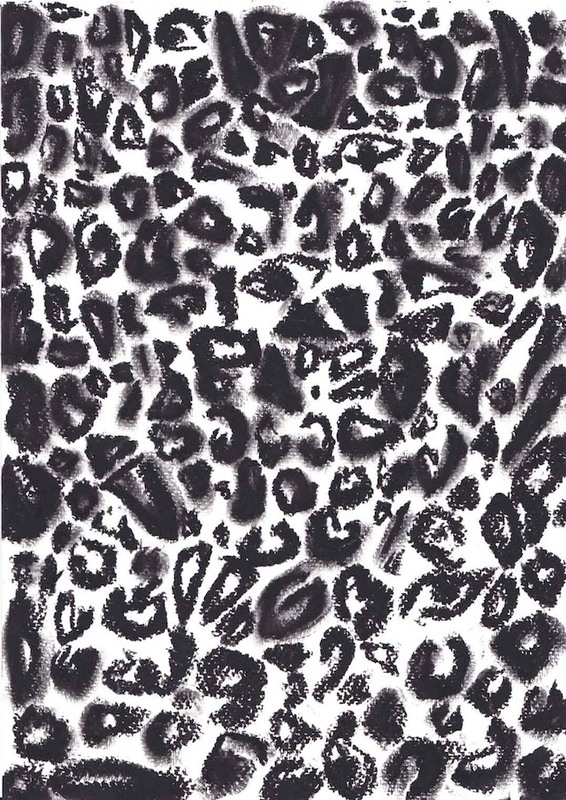 We will make Leopard Eye T-shirts & Bandanas with Gil De Ray. 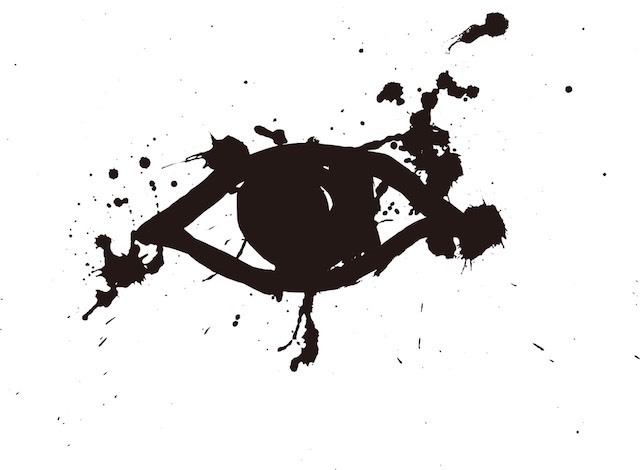 We have a big announcement. 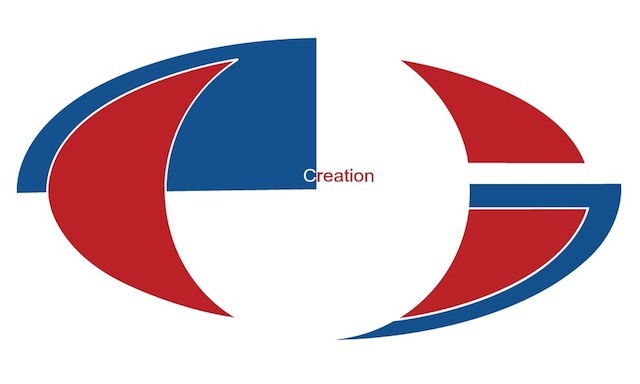 We will make a new Creation T-shirt at the request of Alan McGee. 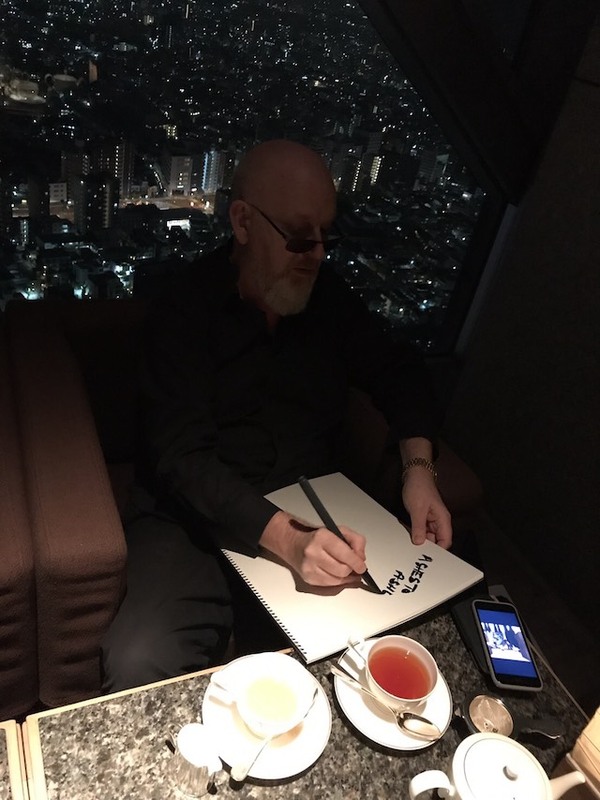 And we will make a message T-shirt wrote by Alan McGee with a brush. 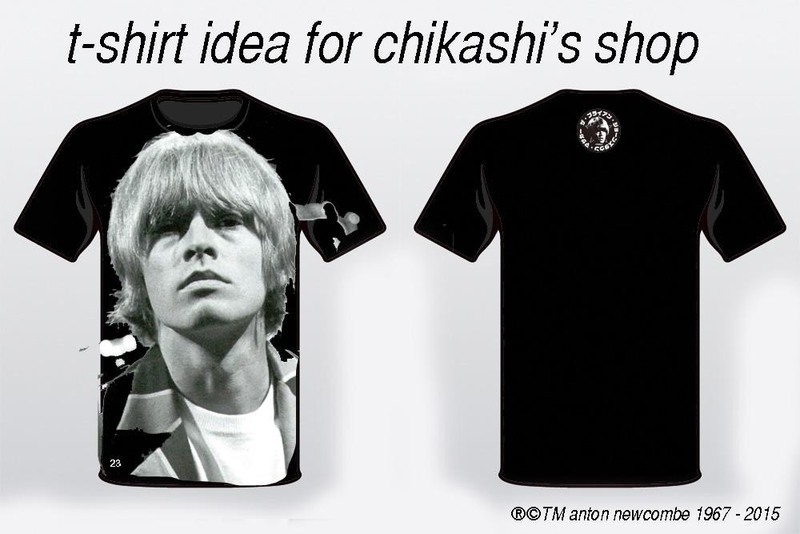 We will make T-shirts for "HOMAGE". 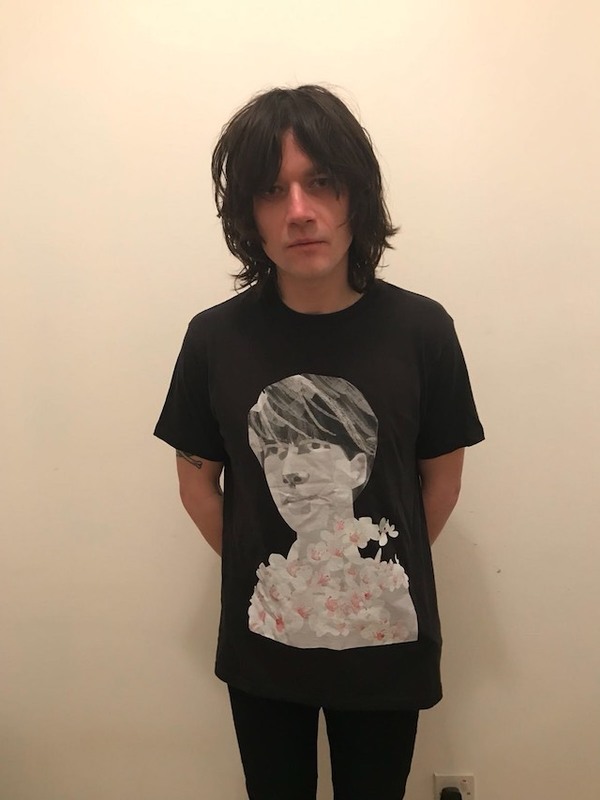 The artwork is by Darren Grealish. 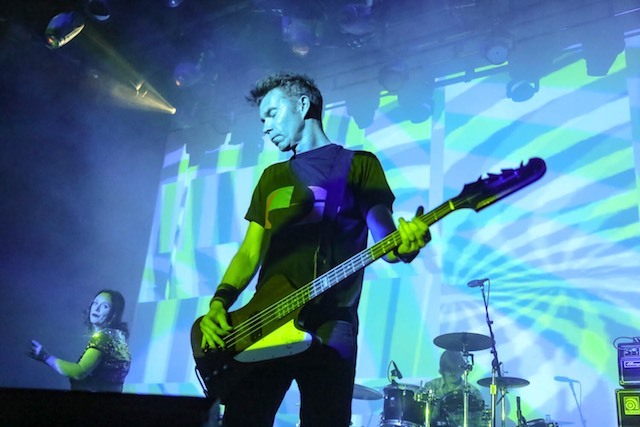 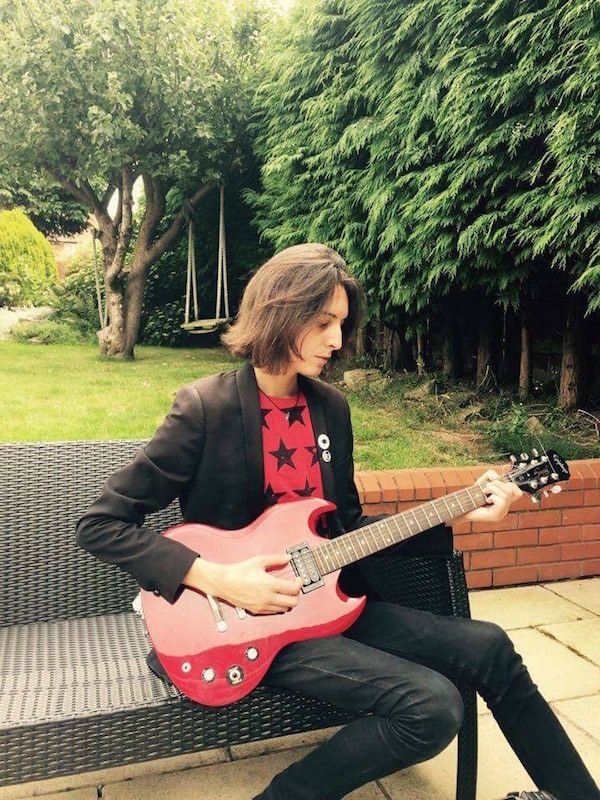 Loz Colbert @Ride wearing our Stripe T-shirt at Theatre of Living Arts. 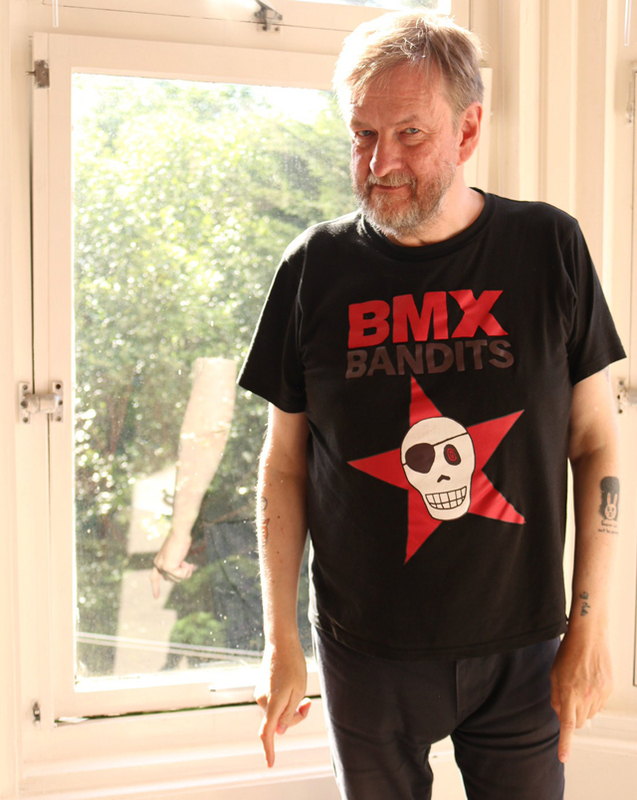 Duglas T Stewart from the BMX Bandits is wearing our T-shirt in interview. 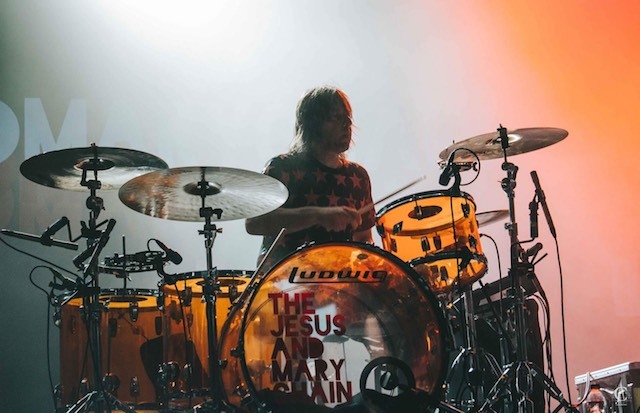 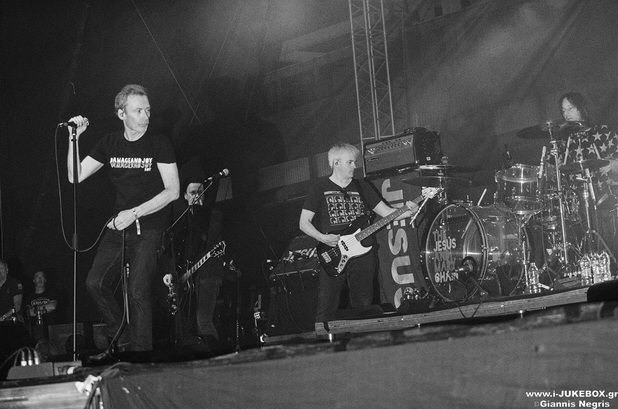 Brian Young @The Jesus And Mary Chain wearing our Star T-shirt at EJEKT Festival. 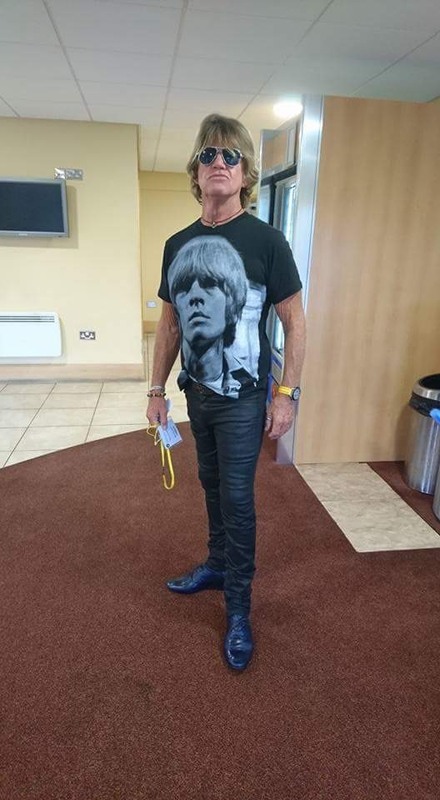 Robin Askwith wearing our Brian Jones T-shirt at Misty Moon Events. 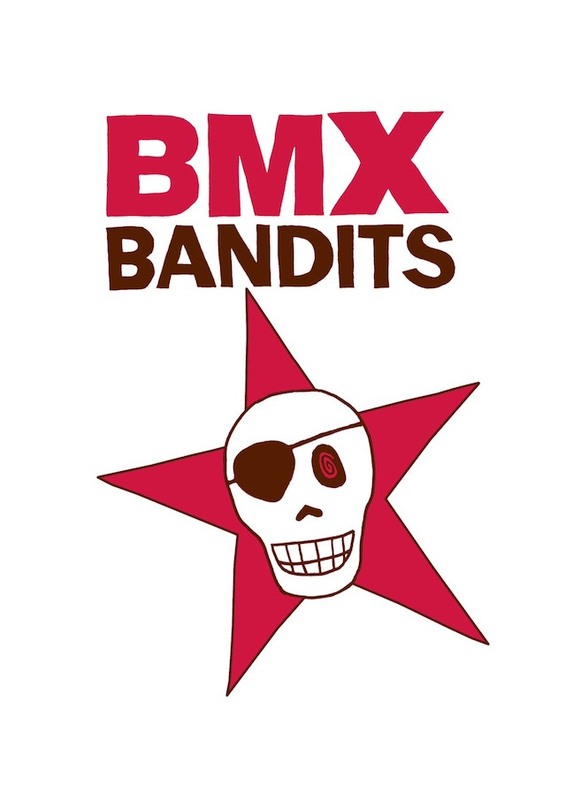 We collaborated with Duglas T Stewart @BMX Bandits. 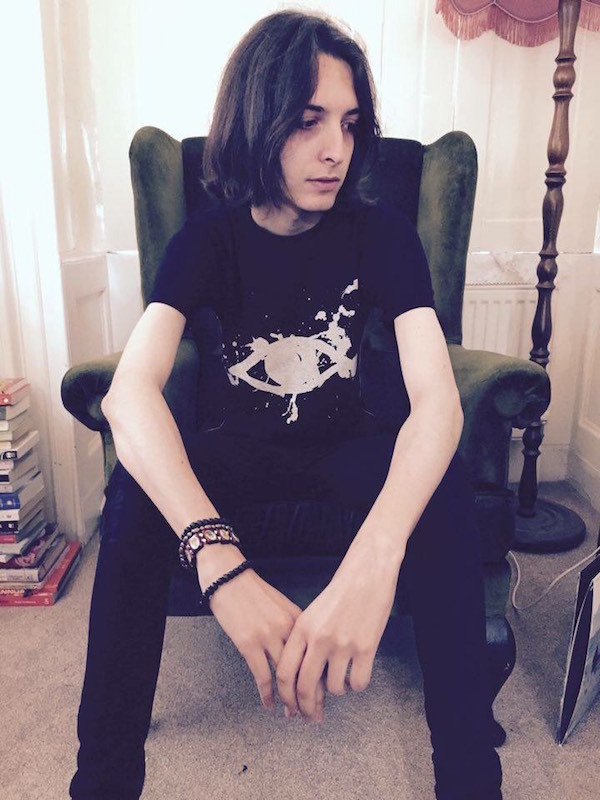 The T-shirt has arrived. 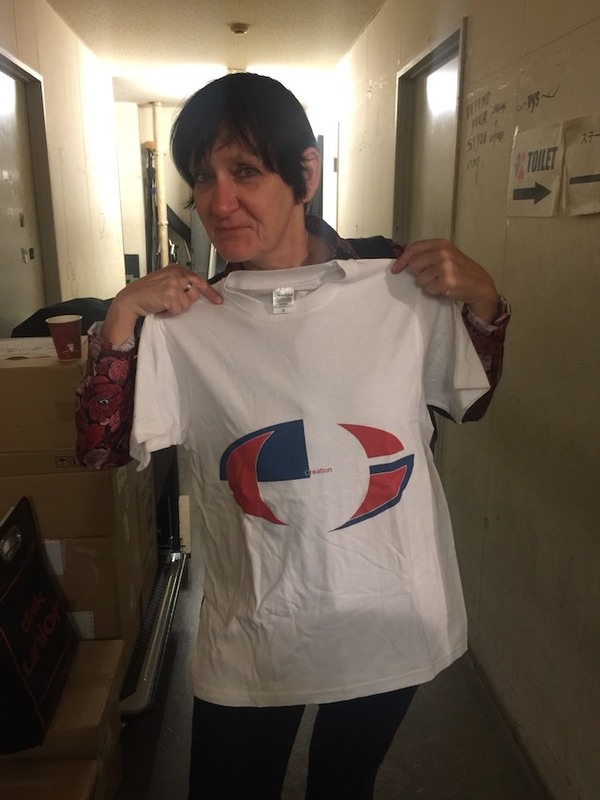 Our new T-shirt has just arrived. 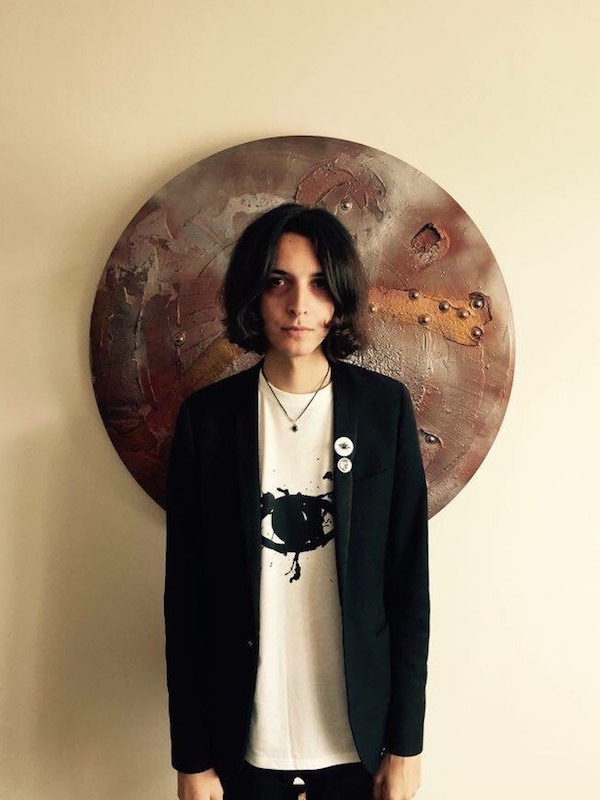 The artwork is by Nina Theda Black. 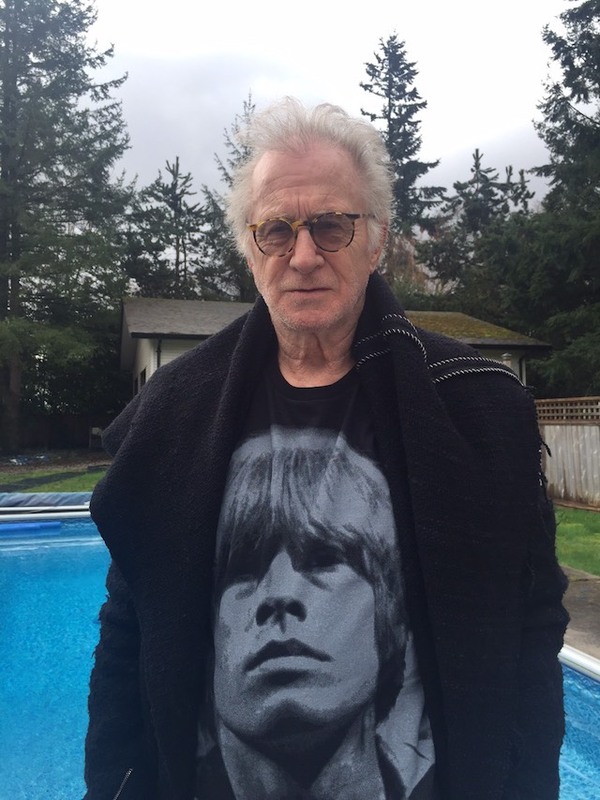 In 1963 nineteen year old Andrew Loog Oldham became the Rolling Stones' first manager and record producer. 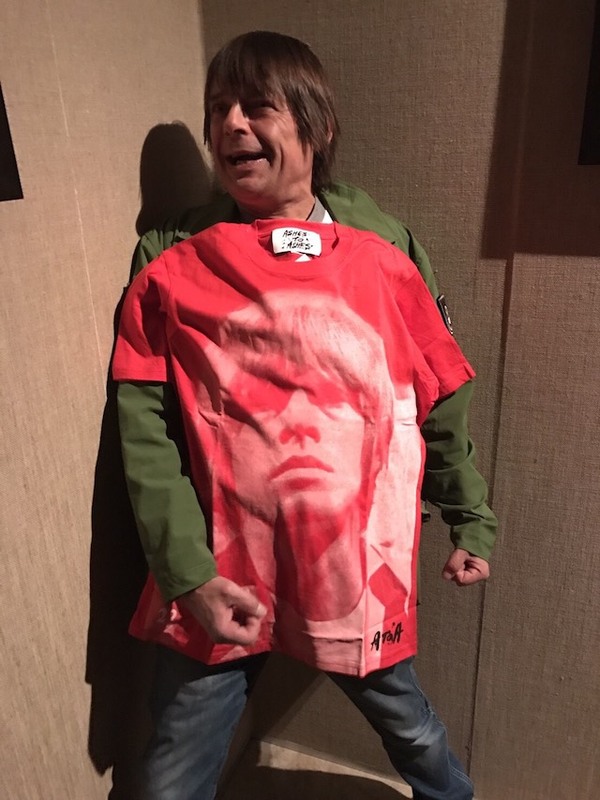 Mani @TheStoneRoses chose red. 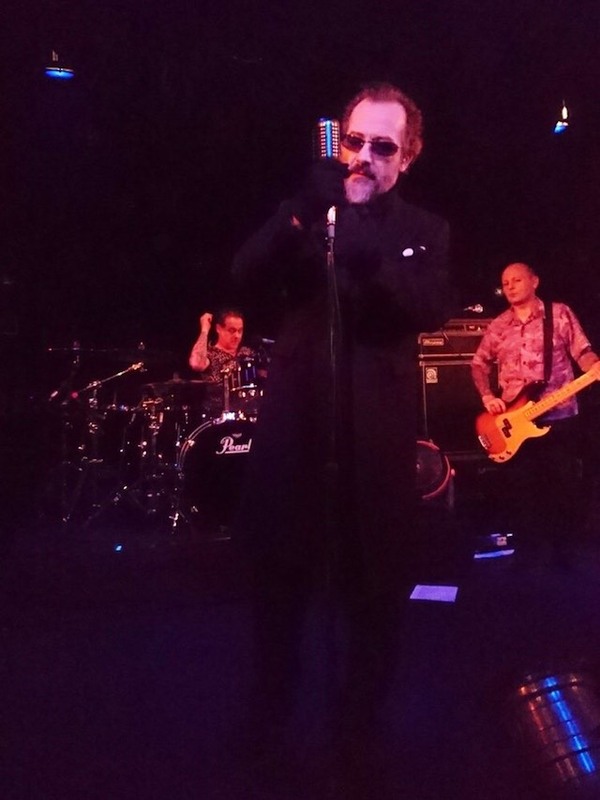 "Because red is the color of Manchester United, Mankochester!" 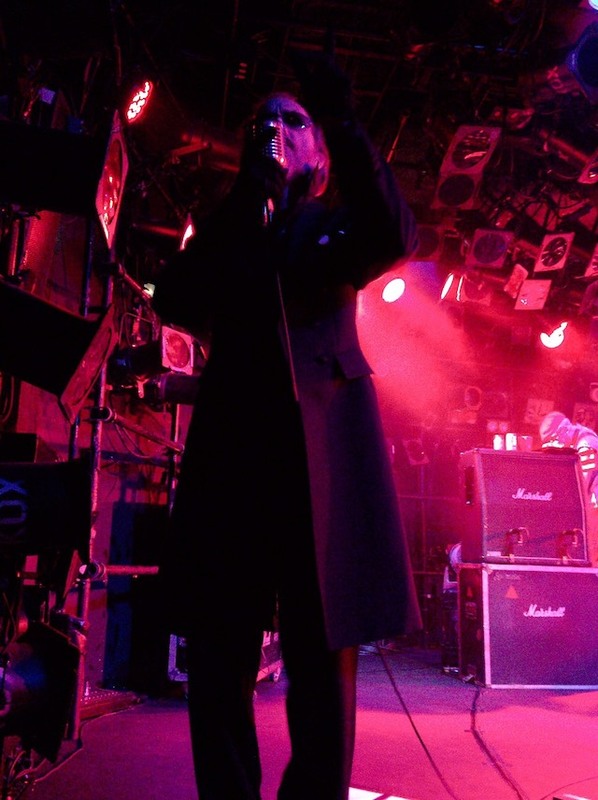 Dave Vanian @The Damned was putting our Polka Dot Pocket Square in his coat at Shibuya Club Quattro & Yokohama Bay Hall. 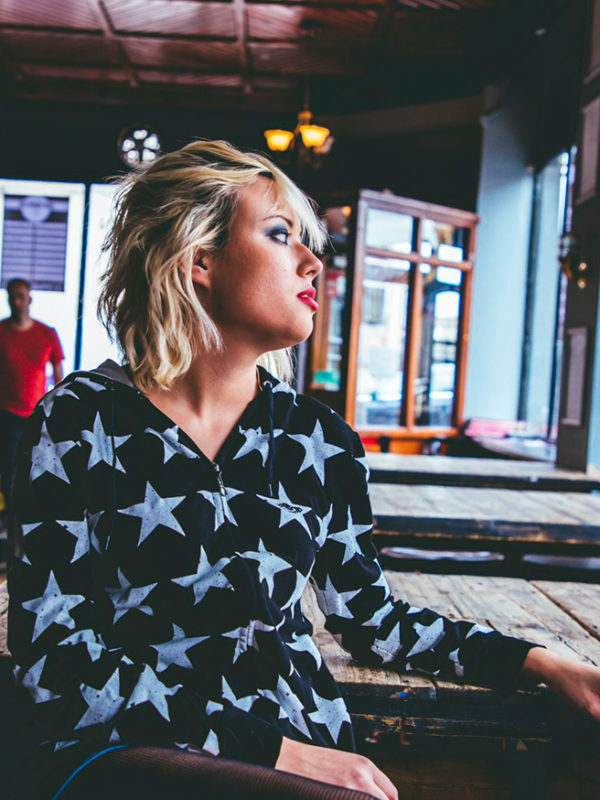 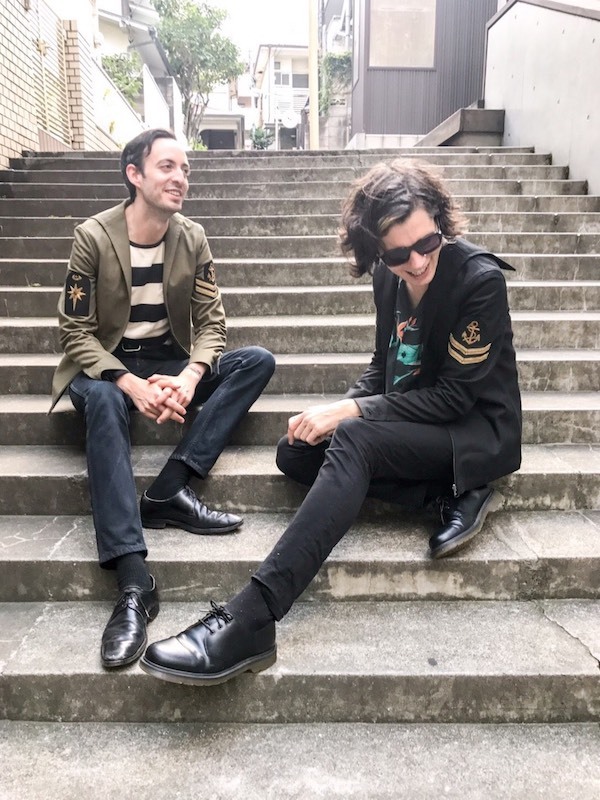 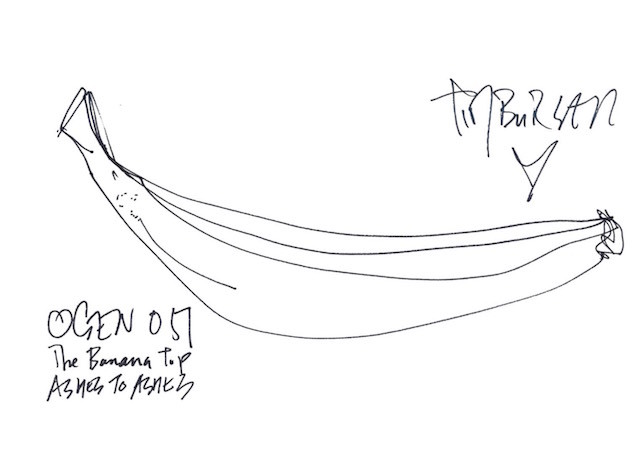 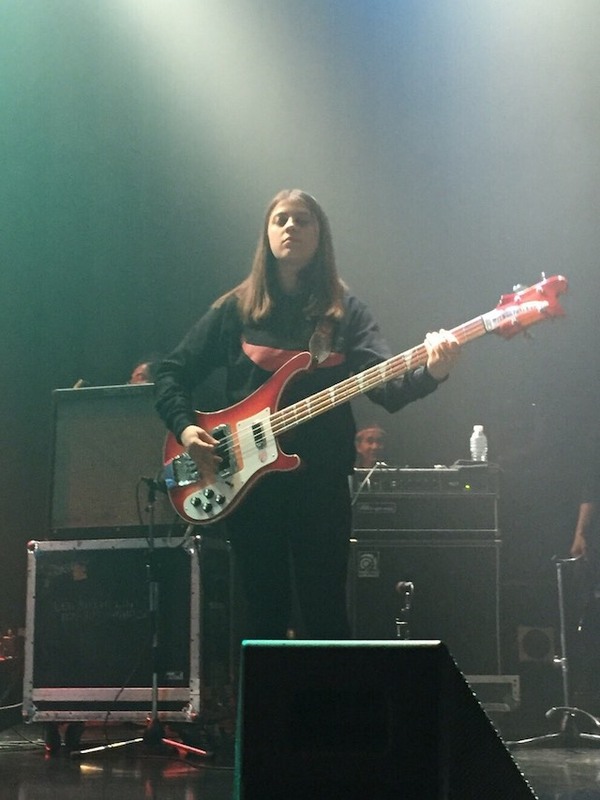 Megan Zeankowski @Lemon Twigs put on Banana Hoodie which is collaborated with Tim Burgess at Shinkiba Studio Coast. 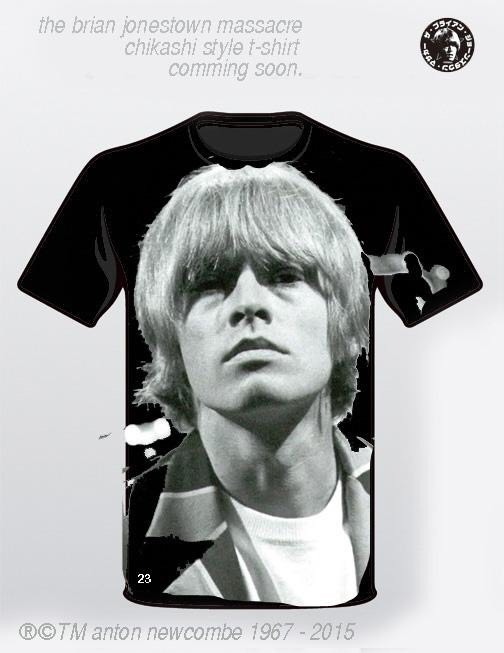 Our new T-shirt coming soon. 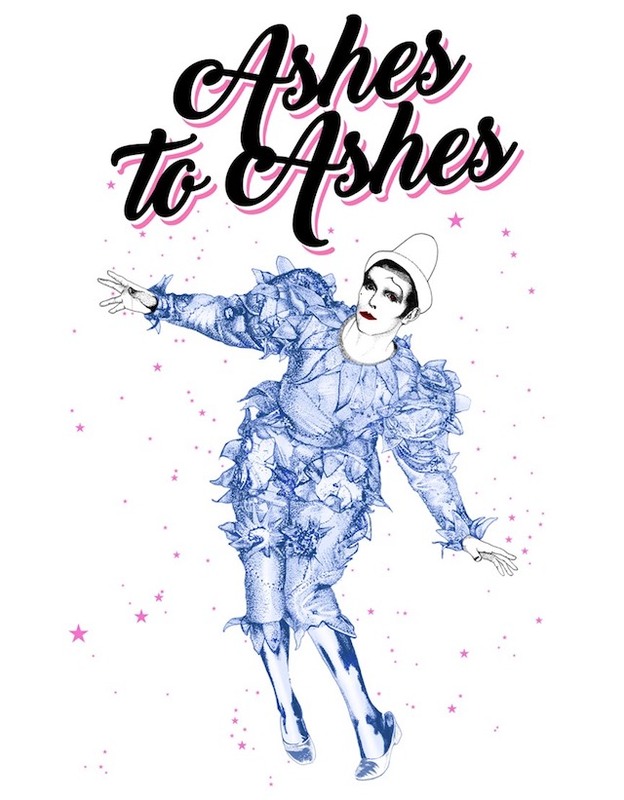 The artwork is by Nina Theda Black. 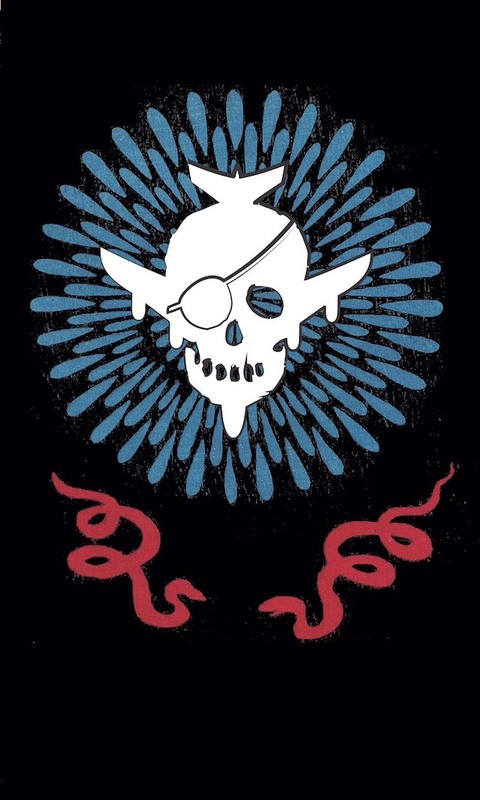 Jim Lambie gave us the eye graphic for our sweater and T-shirt. 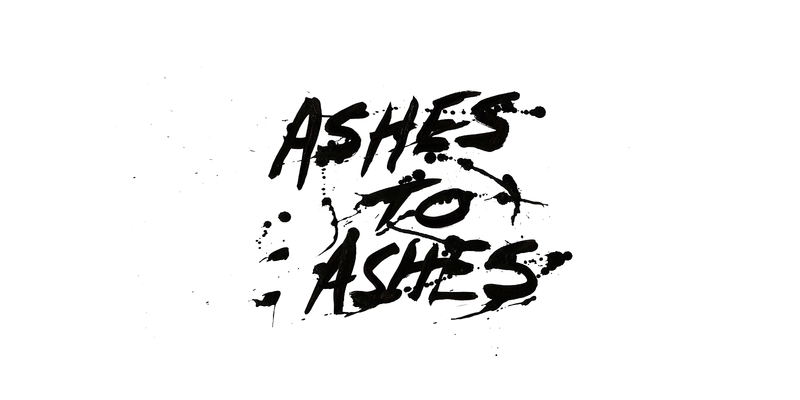 Ashes meets Kate Moss in Tokyo. 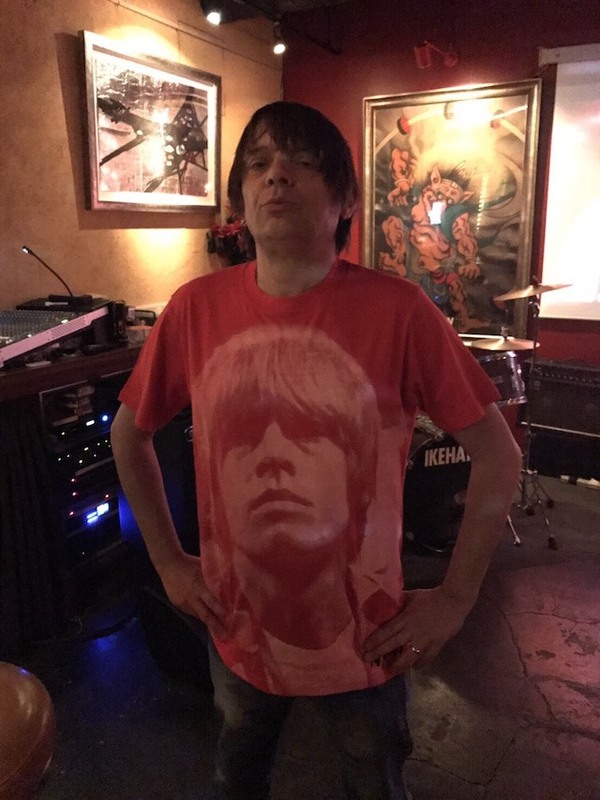 Darrin Mooney @Primal Scream put on Brian Jonestown Massacre's T-shirt at Shinkiba Studio Coast. 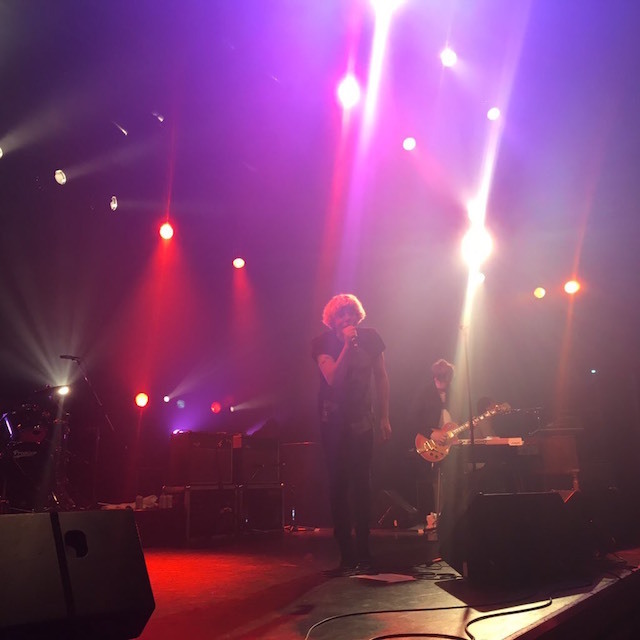 Ashes to Ashcroft at Zepp Tokyo. 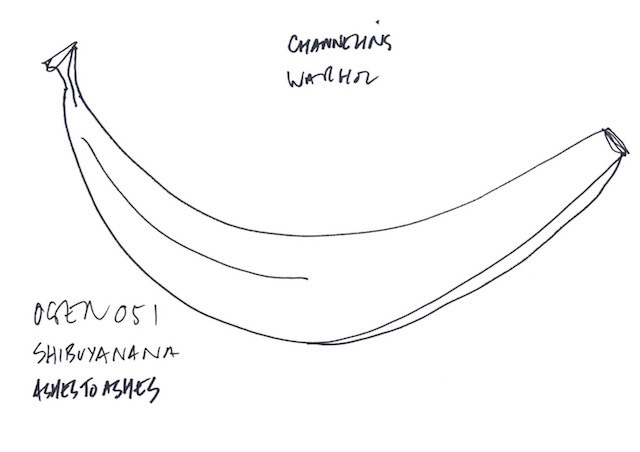 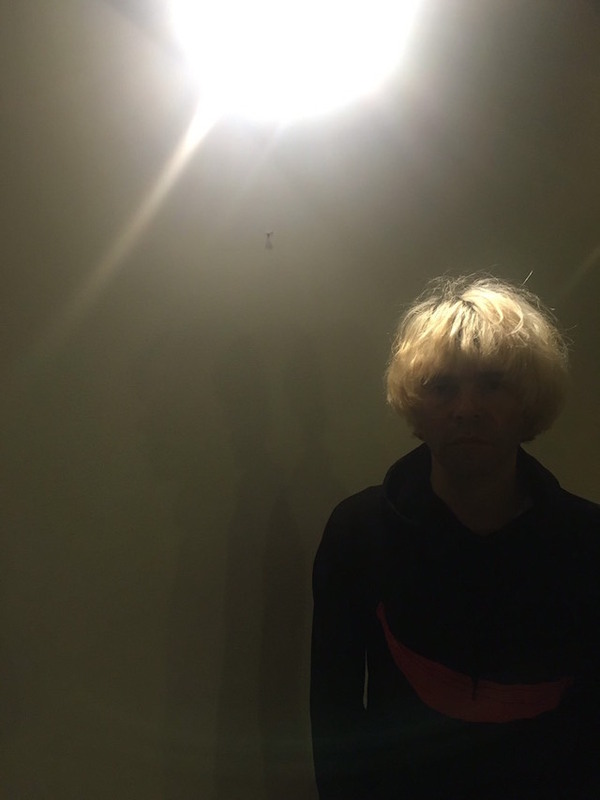 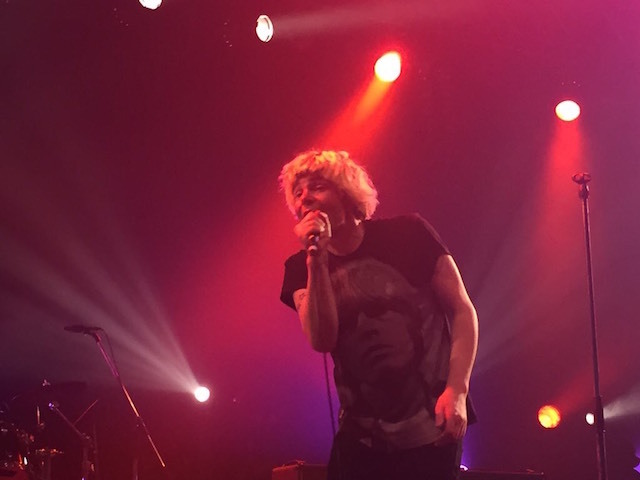 We collaborated with Tim Burgess @The Charlatans. 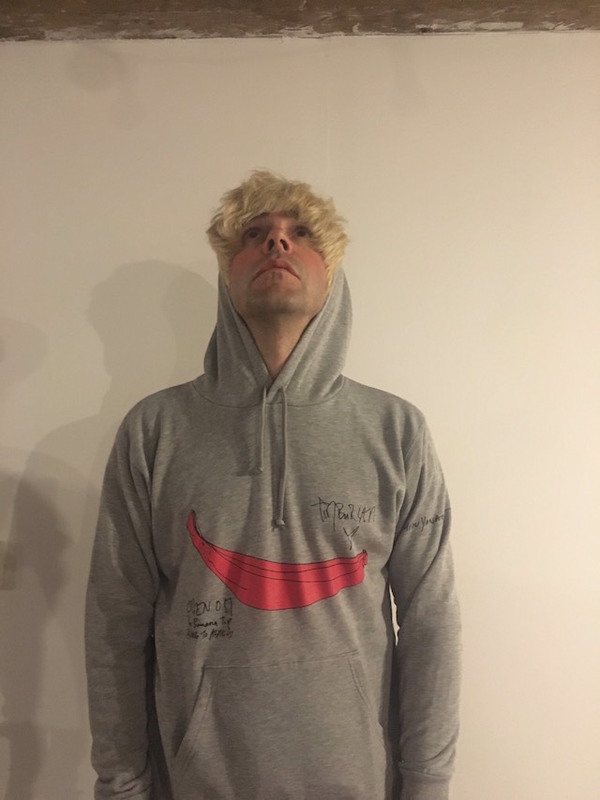 The hoodie and T-shirt have arrived. 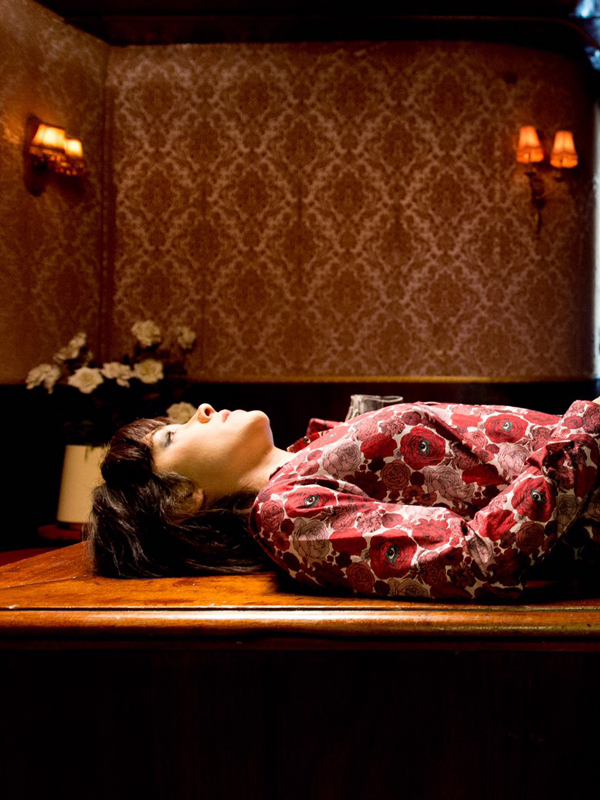 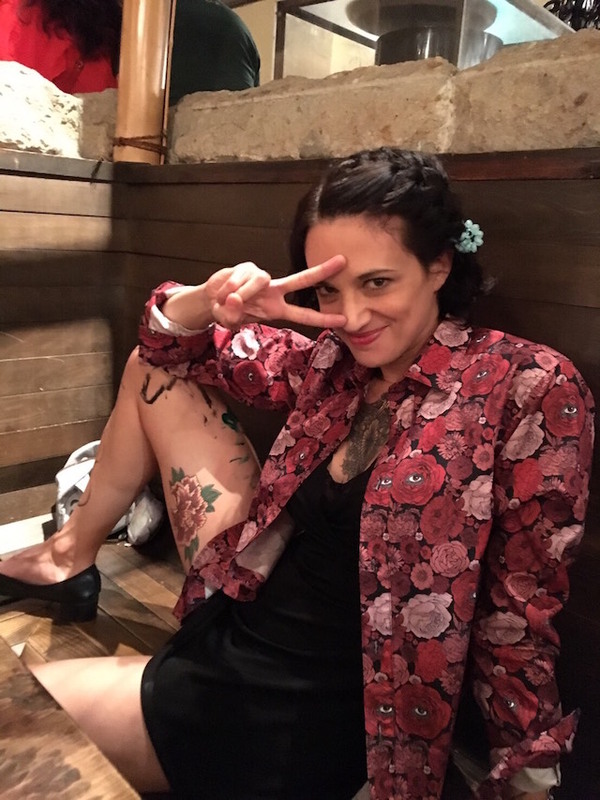 Ashes meets Asia Argento in Tokyo. 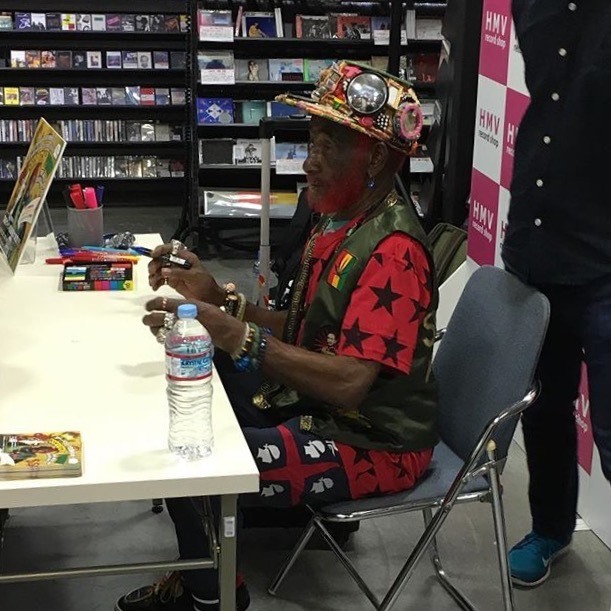 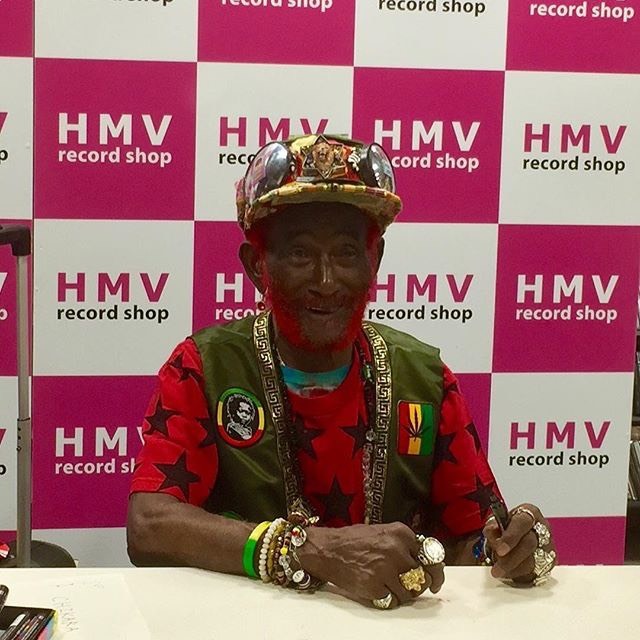 Lee "Scratch" Perry was wearing our T-shirt at HMV record shop in Shibuya. 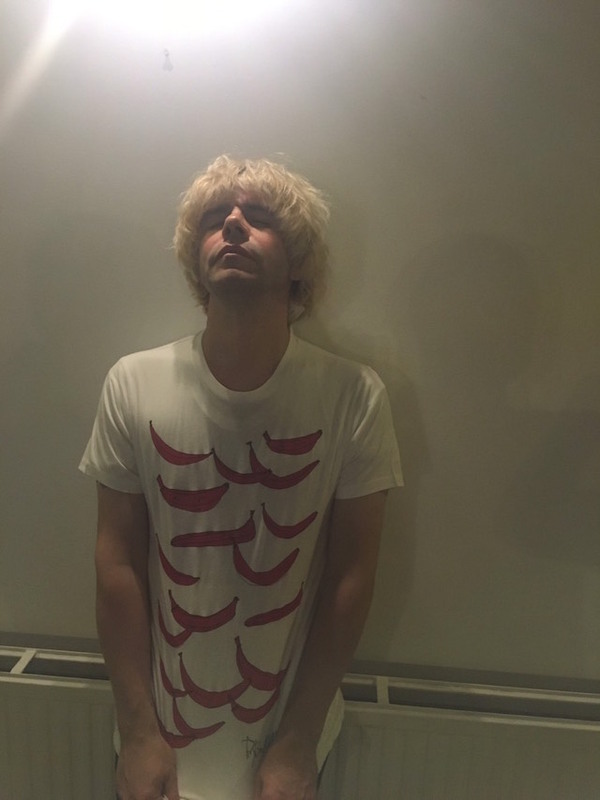 The hoodie and T-Shirt with Tim Burgess @The Charlatans will arrive soon. 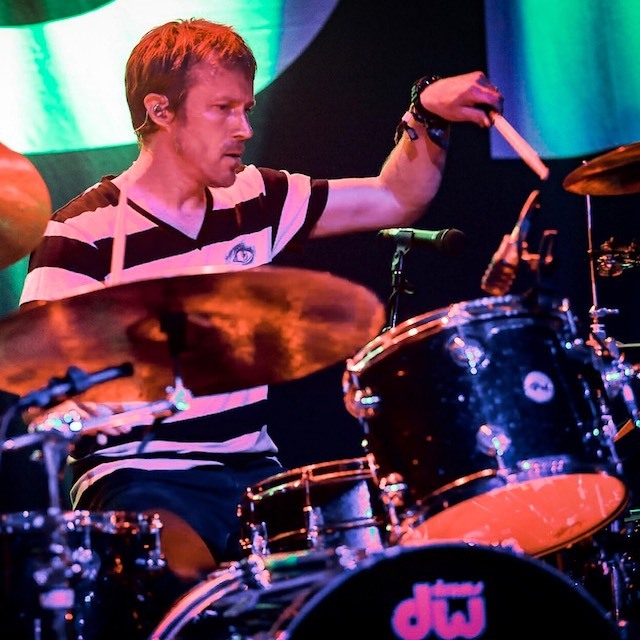 Brent DeBoer @The Dandy Warhols was wearing our T-Shirt on a tv show. 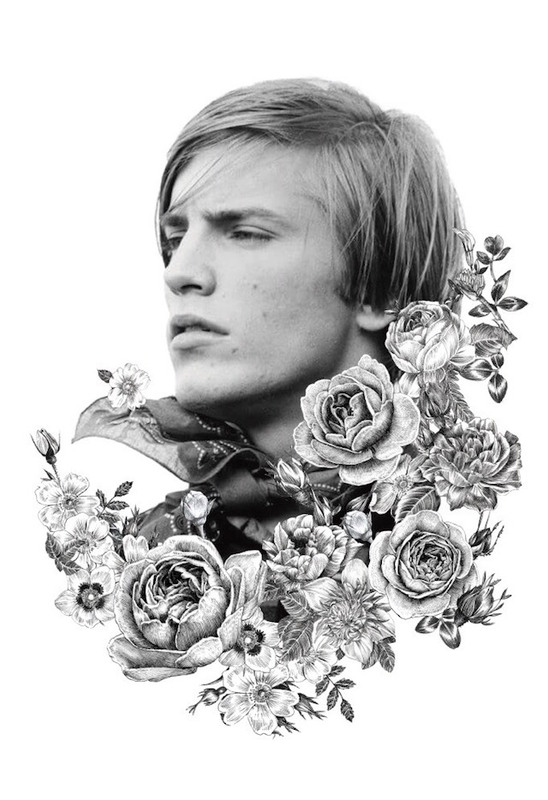 We will collaborate with Joe Dallesandro to make the T-shirt. 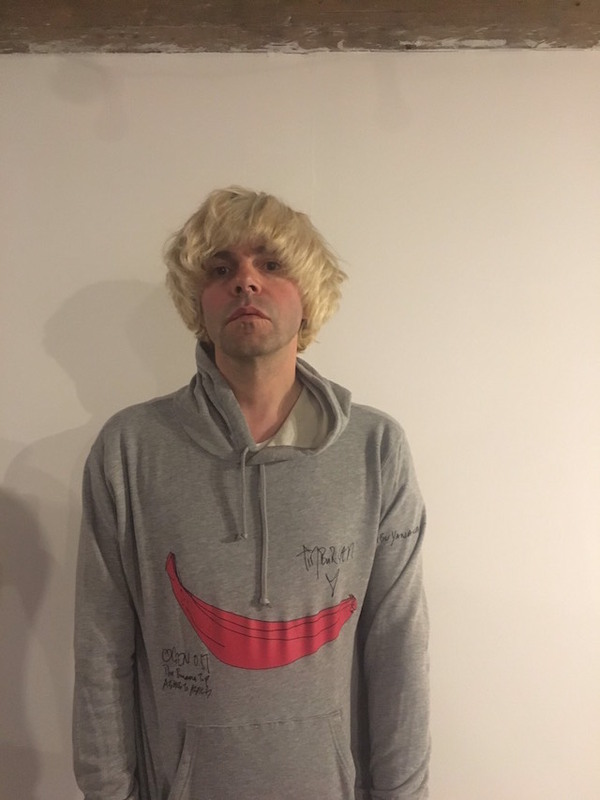 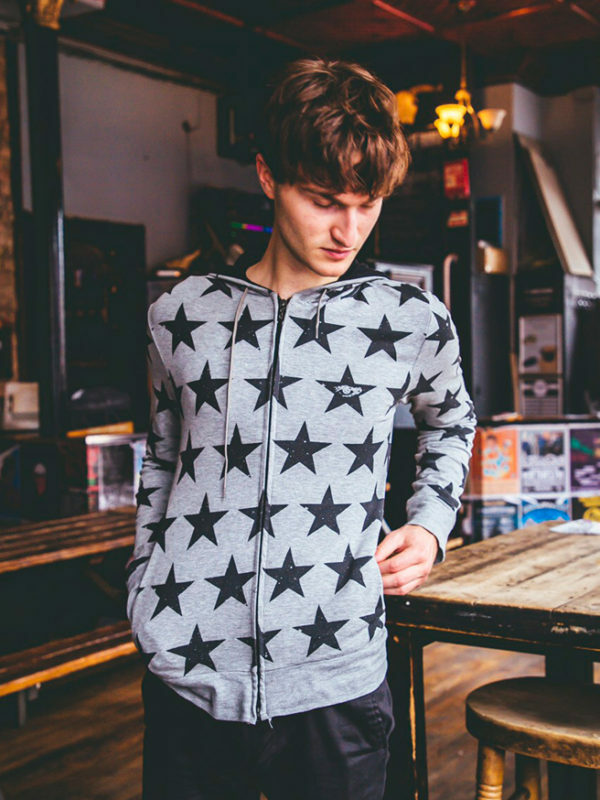 We will collaborate with Tim Burgess @The Charlatans to make the hoodie. 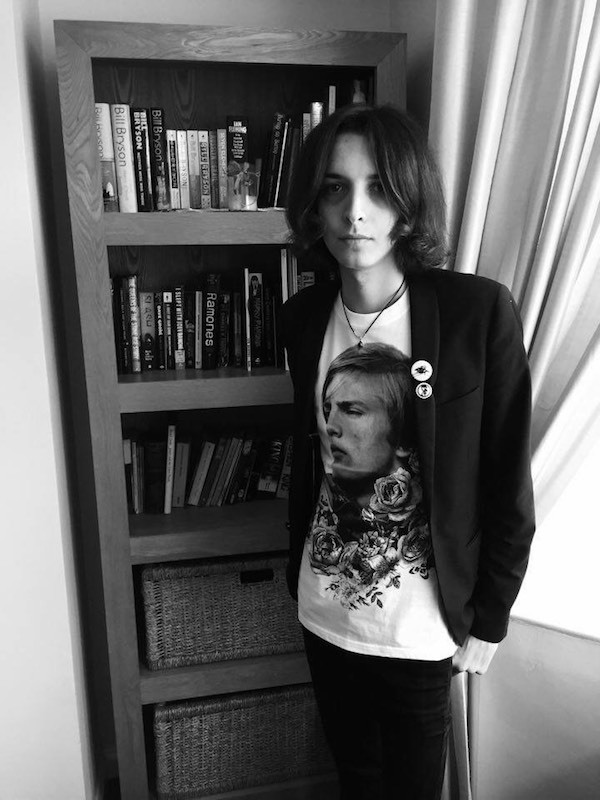 Simone Marie @Primal Scream was wearing our T-shirt on a tv interview. 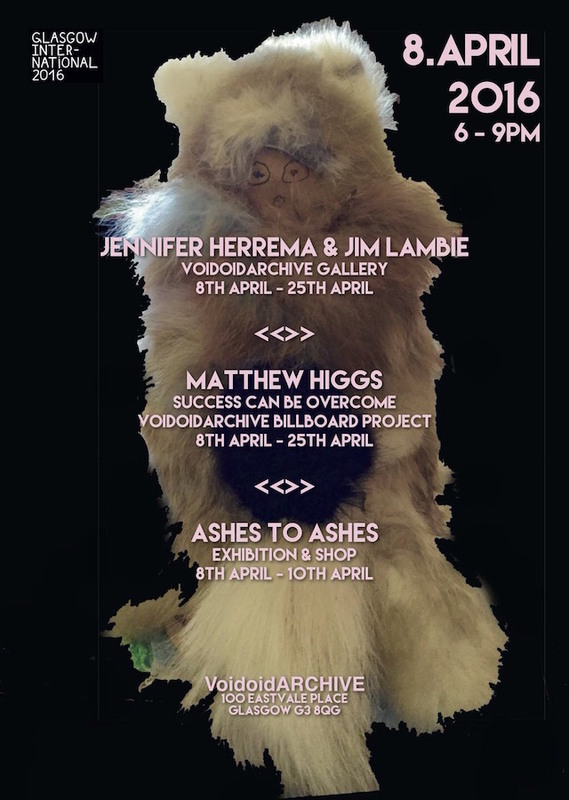 Our exhibition in Glasgow in April. 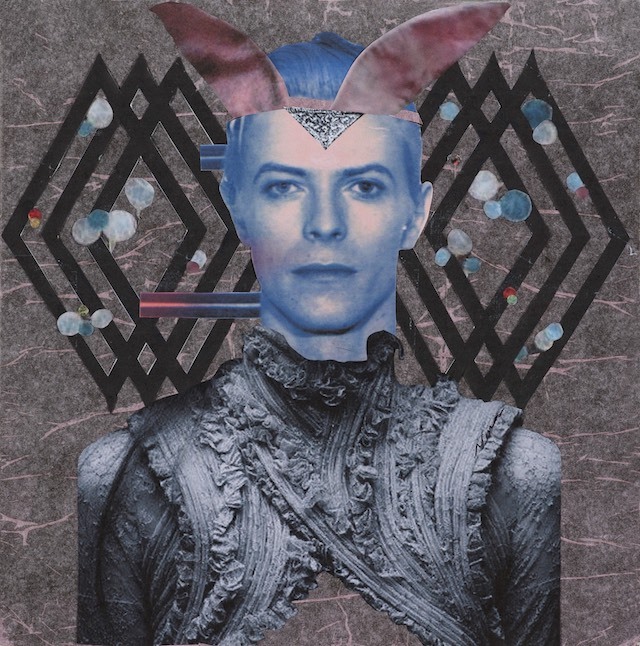 We decided to make a tribute to David Bowie. 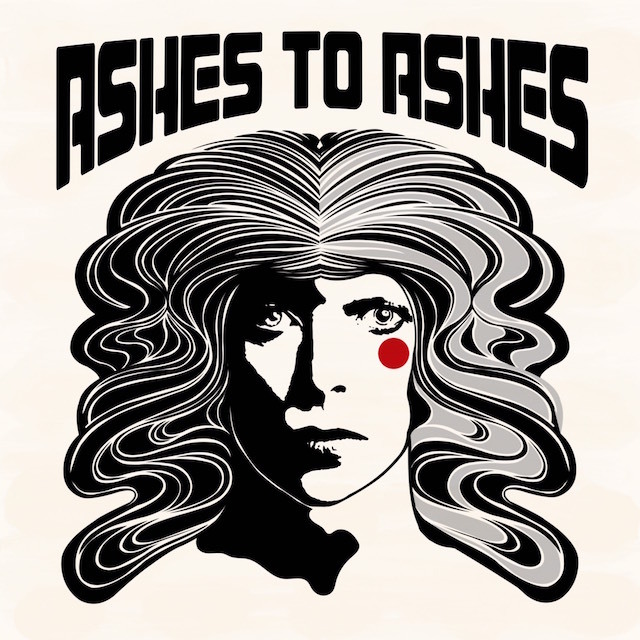 The artwork is by Darren Grealish. 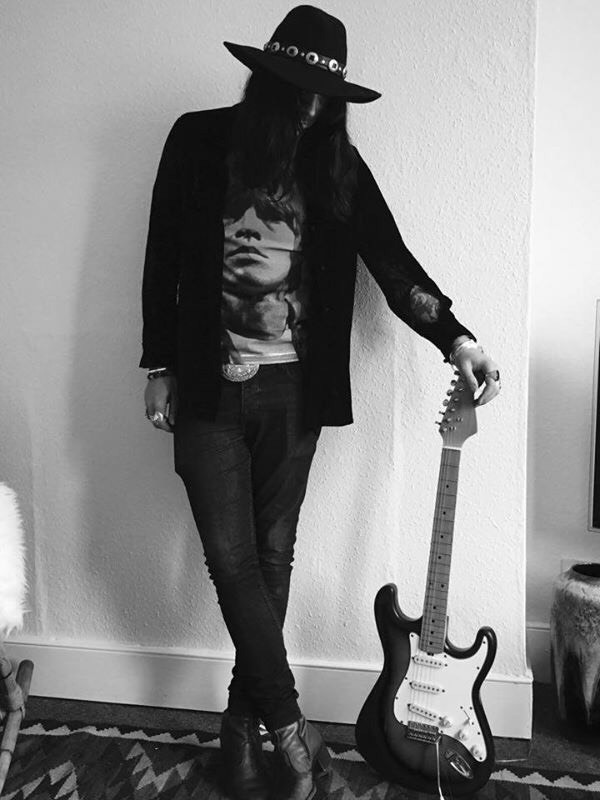 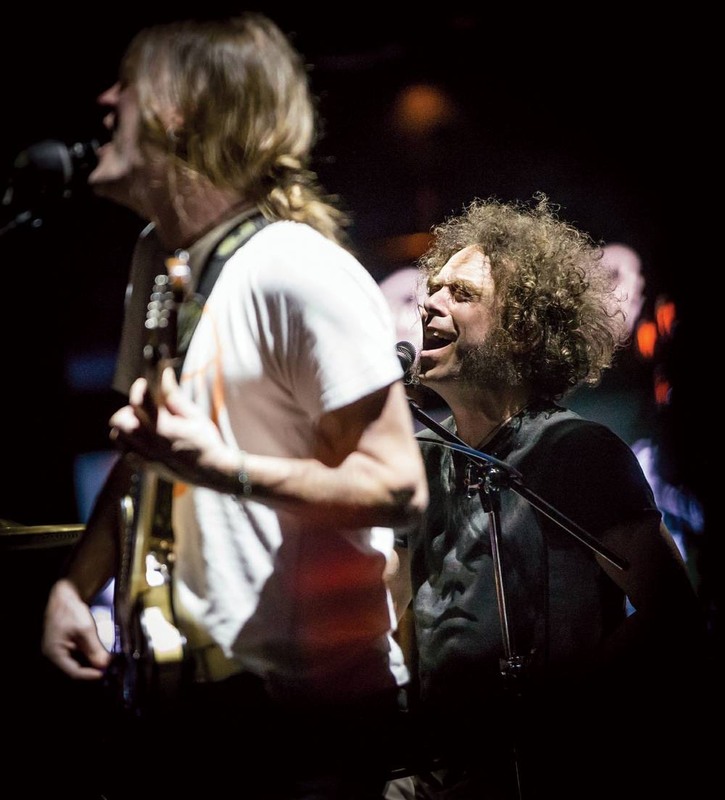 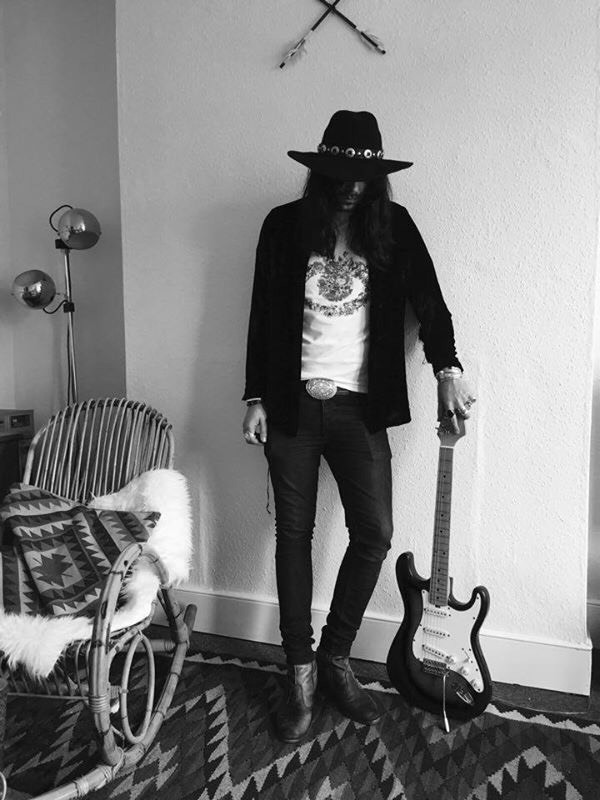 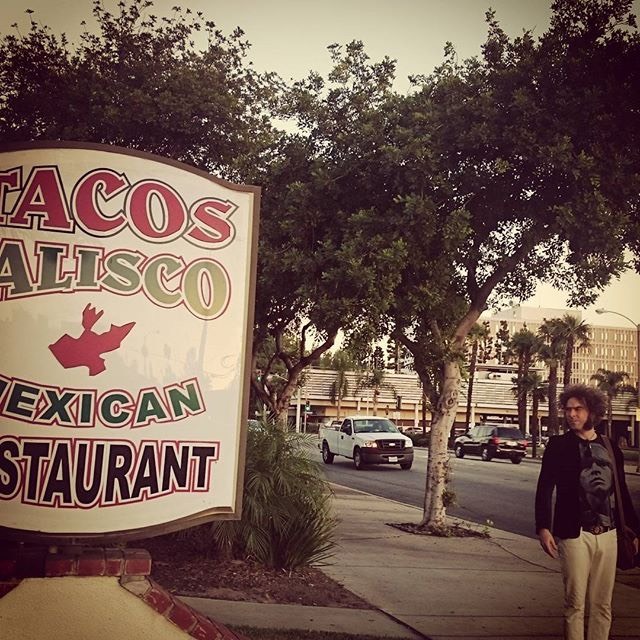 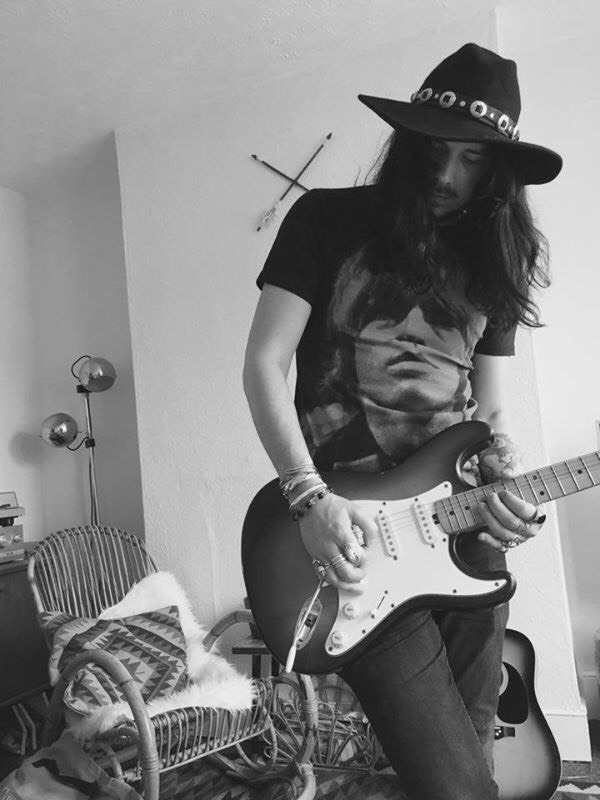 Brent DeBoer @The Dandy Warhols is touring with our T-shirts. 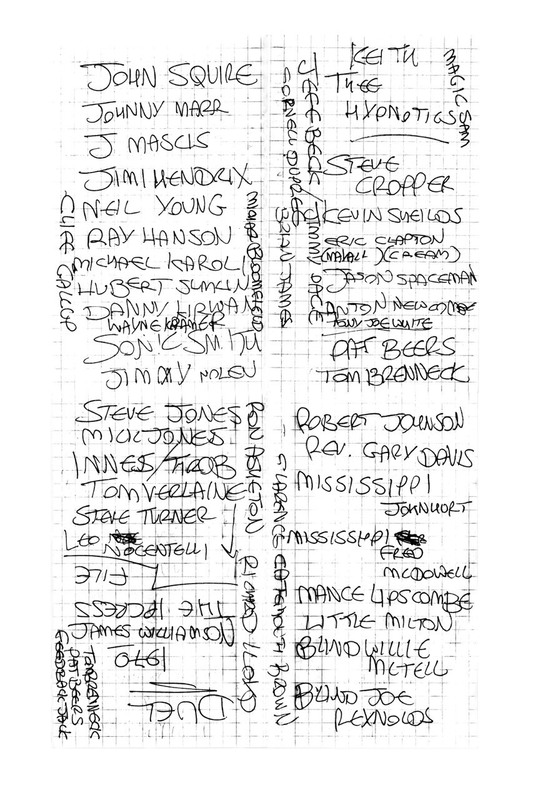 Jim Lambie made this graphic for us. 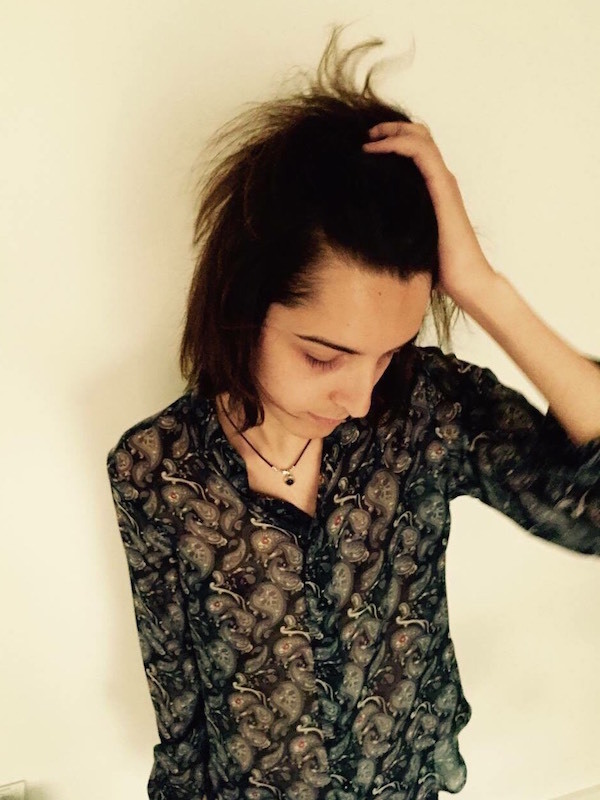 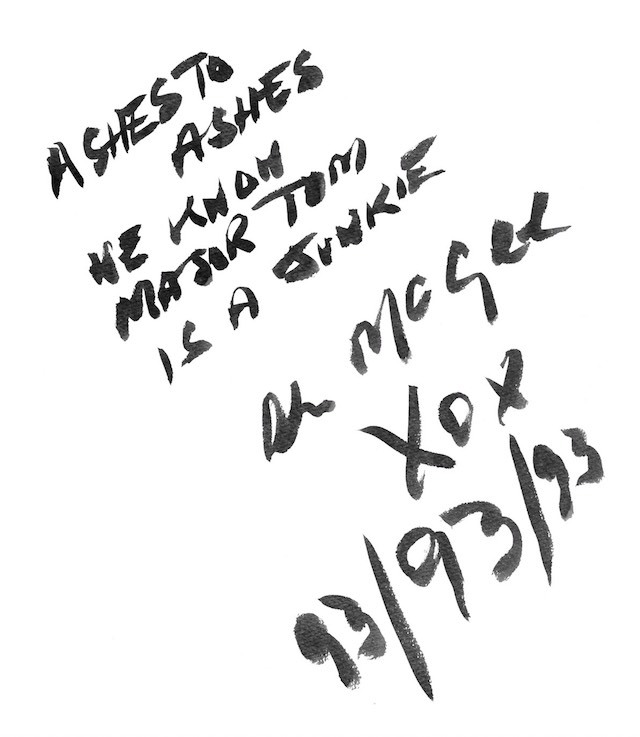 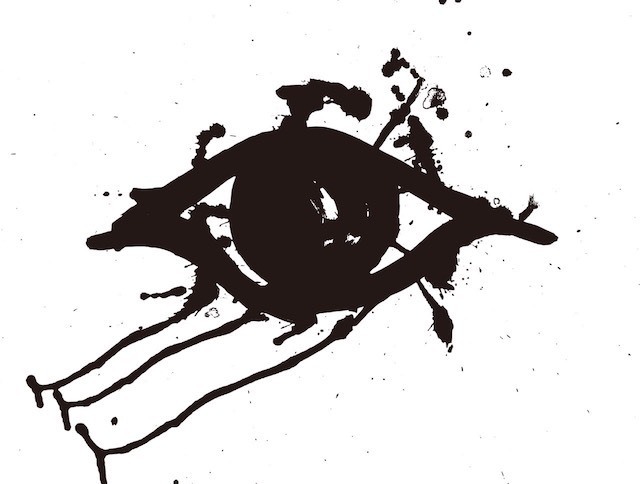 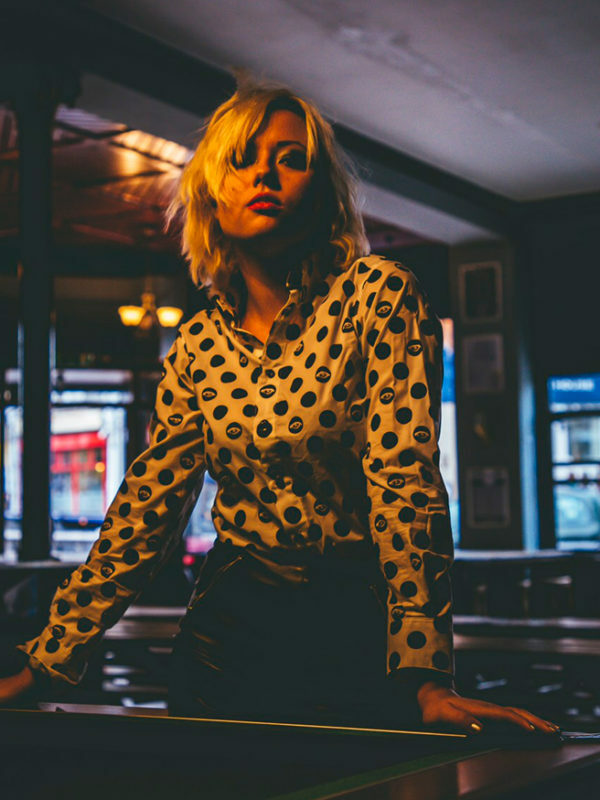 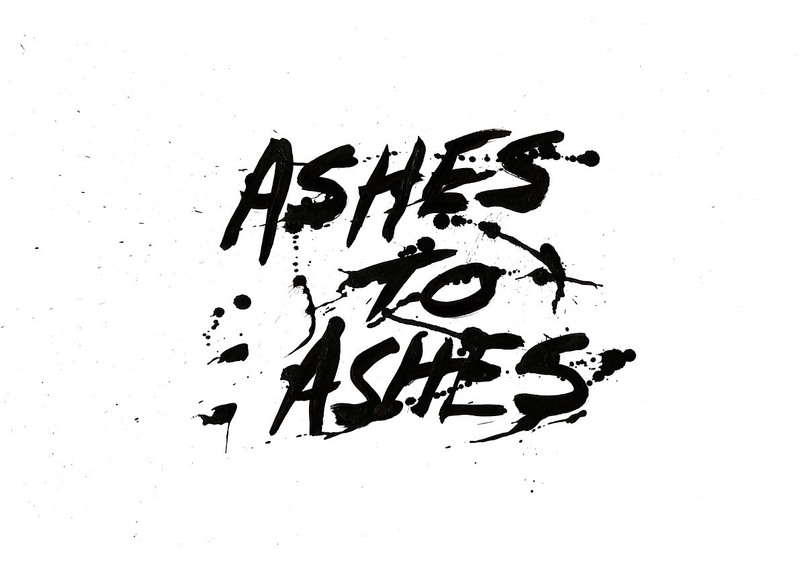 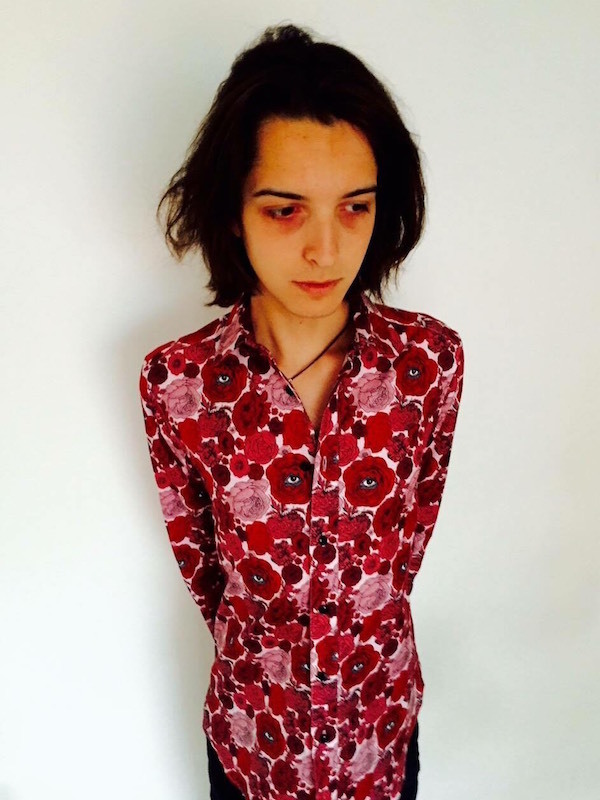 Copyright© 2015　ASHES TO ASHES All Rights Reserved.